Northpoint (35) — Ashtyn Baker 4, Lauren Decembrino 6, Allie Enders 1, Lauren Gross 6, Karlie Hughes 12, Andrea Sparkman 4, Jade Wells 2. Knoxville Webb (57) — M. Scheetz 18, D. Maxwell 4, K. Collier 8, D. Vance 3, E. Wyrick 3, E. Satterfield 6, C. Collier 15. Harding (33) — Zaria Christy 2, Kelsi Elkins 2, Anna Horner 7, Antoinette Lewis 17, Callie Stubbs 5. Franklin Road Aca. (46) — J. Heldman 5, C. Sawyers 9, K. Bell 2, R. Casey 15, T. Casey 15. Overton (65) — Lyric Douglas 1, Rodrea Echols 11, Marquesha Fennell 2, Kyla Green 9, Jalisa Jones 8, Ciera Pettis 19, Kayla Williams 15. Ridgeway (64) — Brandi Beasley 16, Oreonna Brown 18, Elizabeth Dixon 6, Eryn Foster 18, Breouanna Humphrey 2, Tierney Paylor 4. Records — Overton 25-4, Ridgeway 28-1. Arlington (48) — Raegyn Branch 8, Mirrakohl Johnson 11, Ashley Lee 7, Callie McMorran 5, Cheiyanne Norton 12, Tori Sewell 5. 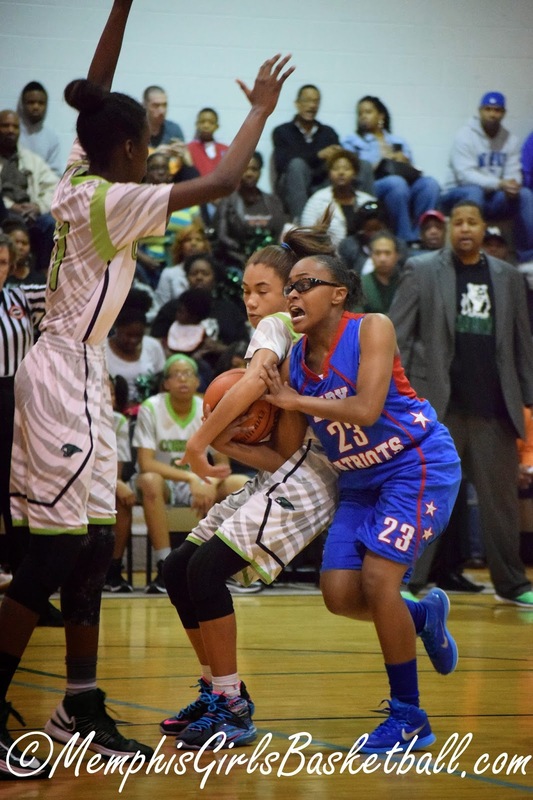 Bartlett (44) — Madison Carroll 5, Stella Gill 6, Jessica Jackson 10, Charity Savage 18, Nyla Smith 2, Dee Dee Williams 3. Haywood (44) — Flagg 12, Shutes 19, Smith 8, Young 5. Craigmont (47) — Kiara Caswell 9, Danielle Conley 12, Keveana Fayne 2, Morgan Morris 6, Daja Scurlock 18. Records — Haywood 22-9, Craigmont 26-6. Briarcrest (57) — Brynn Holden 7, Elise Holden 26, Morgan Hunt 8, Tatiana Love 6, Kathryn Newman 5, Savanna Owens 4, Alyiah Wells 1. Harpeth Hall (50) — LeeLee Johnson 8, Shelby Nutter 5, Anna Owens 3, Raleigh Potts 15, Mary Triplett 3, Lauren Bars 16. 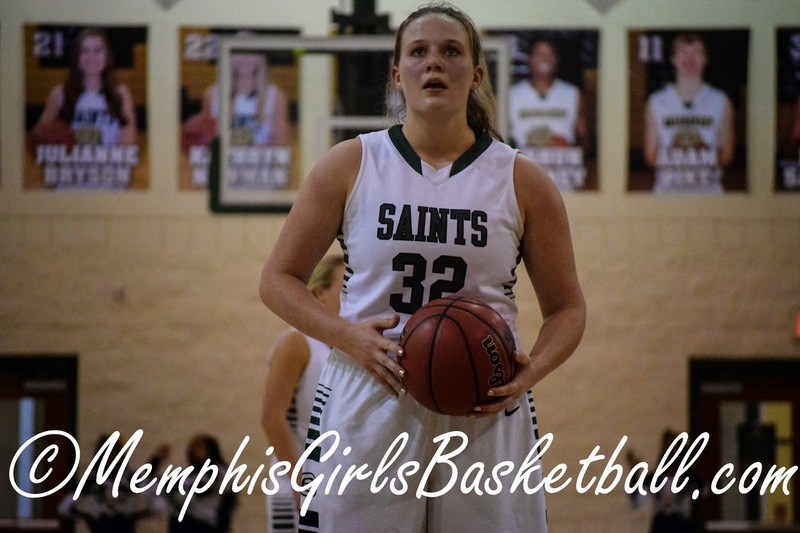 Elise Holden scored 26 points as the Saints overcame a slow start to defeat Harpeth Hall, 57-50, to advance to the state championship game. They’ll play Brentwood Academy, a 68-61 winner over Chattanooga Baylor, for the title Saturday at 1 p.m. at Lipscomb University’s Allen Arena. They’ll get their chance thanks to a superb second quarter. The Honey Bears led 12-0 before Holden got the Saints (23-6) on the board midway through the first quarter. By the end of the break, they were down 16-9 but then outscored Harpeth Hall 17-3 in the second quarter to take control of the game. 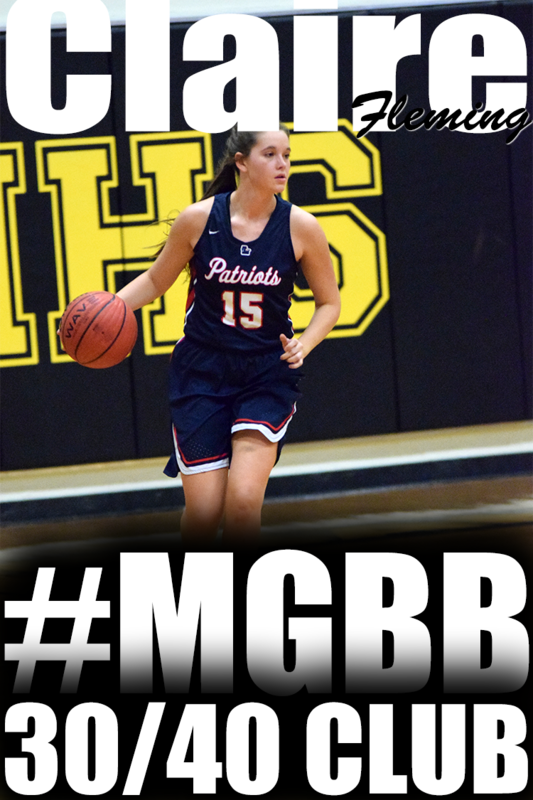 Briarcrest led 45-35 early in the fourth before Harpeth Hall rallied to get within two. But Holden — who went 13 of 17 from the line — made some clutch free throws late to seal it. “We used four different defenses,” said Saints coach Lee Smith. “And we did a good job in transition. We felt like we could push them. Holden’s twin sister Brynn chipped in with seven points and a game-high nine rebounds against Harpeth Hall’s tall and physical frontline. Morgan Hunt added eight points. If Briarcrest wins Saturday it will be the fifth title in school history but the first since 2004. “I get teary-eyed just thinking about our seniors,” said Smith, referring to the Holdens, Kathryn Newman, Tatiana Love and Julianne Bryson. Janna and Jason Thompson added to their trophy collection last year when they both led their teams to Mississippi state championships. Janna and Jason Thompson made a vow to each other even before they got married. 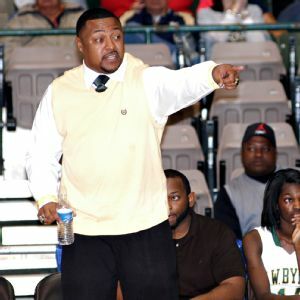 Never -- ever -- again would the high school girls' basketball coaches in Mississippi play a regular-season game against each other. "Once we got together," Jason said, "we made a pact never to do that again." Janna Thompson, the coach at Horn Lake (Mississippi), and Jason Thompson, the coach at H.W. Byers (Holly Springs, Mississippi), have been doing just fine without saying "I do" to a game between the two state powers. Last year, Janna led Horn Lake to the 6A state title and Jason led Byers to the 2A state title. They are believed to be the first married couple in Mississippi history to win state basketball titles with different teams in the same year. 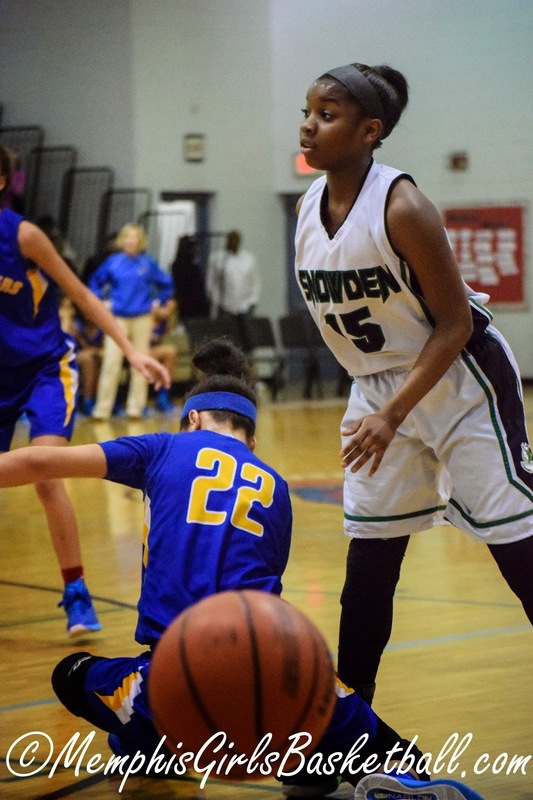 "I felt like we won state twice," said Abria Gulledge, now a 6-foot senior wing at Byers. "We were, like, playing together, basically. "Last year was fun, and we both want to get back to Jackson." That's where Mississippi holds its state girls' basketball championships, and both Byers and Horn Lake have a shot at getting back to the Final Four next month. 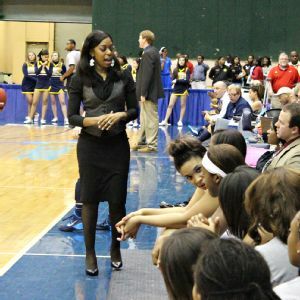 Janna Thompson, who played point guard at Delta State, has coached Horn Lake to two state titles. Jason Thompson, 39, has led H.W. Byers to six state titles, including the past four years in a row. The four straight championships have coincided with the time he started dating the former Janna Lyons, and Jason said there's a reason why. "[Janna] is great at paying attention to details and knowing how to make adjustments. It doesn't take her long -- she can immediately recognize what works and what doesn't." Janna, 32, has won two state titles -- in 2010 and 2014. At 5-foot-6, she is six inches shorter than her husband, but she can boast the better college career, having played point guard for Delta State and reached the Division II Elite Eight one year. Her collegiate clippings are an important piece of trash-talking evidence because Jason, who played one year at Mississippi Valley State before getting sidelined because of numerous injuries, and Janna compete with each other at just about everything, from dominoes to cards to gift-giving. In fact, about the only thing they don't compete at is basketball. Instead of trying to beat each other in hoops, they try to help each other succeed. "It's nice to have someone to be able to vent to," Janna said. "My girls think my practices are tough now, but without Jason, it would be a lot worse. "He gives me another perspective. If I didn't have that, I may come to school the next day after a loss and call for a three-hour practice." Jason's players feel lucky he has Janna. Before they got together, Gulledge said, Byers would practice at every opportunity. Jason Thompson has won six state titles and dreams of teaming up with his wife on the same sideline someday. 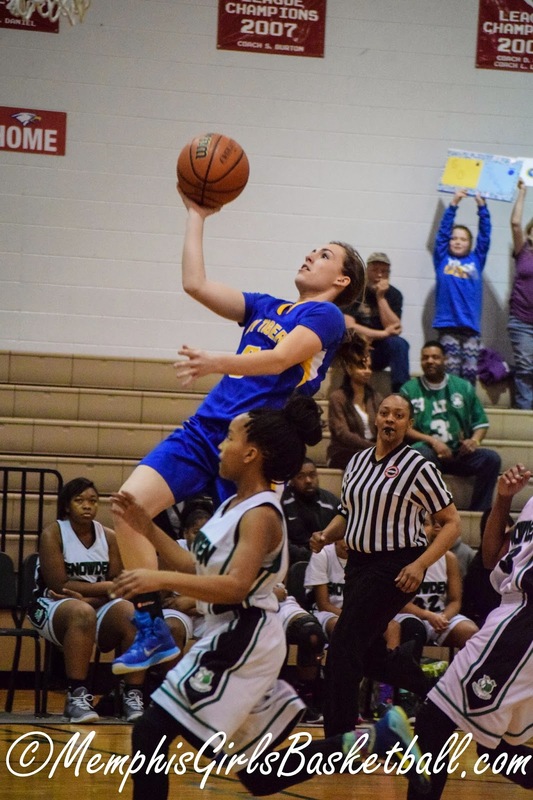 "We used to think, 'Coach needs to find a valentine,'" said Gulledge, who has played for Jason since her eighth-grade year. "He never gave us a break." Jason and Janna met in 2007 when both were coaching at a basketball camp. Jason remembers thinking at some point that Janna was "a nice-looking coach who works hard and does a good job. But I wasn't thinking anything past that." Janna was thinking even less than that. "The first time we met was just my second year coaching," she said. "He didn't spark my interest at all. The only thing I found impressive was that I knew he had won championships." Things changed in the summer of 2011 when Jason's father, Jessie, introduced himself to Janna. "He said, 'I thought you and my son would have gone out on a date by now,'" Janna said, recalling the conversation. "I was like, 'Who is your son?'" That night, at his father's suggestion, Jason gave Janna a call -- ostensibly to thank her for coming out to his summer tournament. "No coach ever thanks you for coming out to a summer tournament," Janna said. "I was rolling my eyes back then, but I'm grateful now." The couple were engaged in 2012 and married on May 21, 2013. The wedding date was special -- right in the middle of their birthdays. He was born May 20, and her birthday is May 22. "I think he picked that wedding date so he wouldn't forget our anniversary," Janna joked. The Thompsons' home is also strategic -- it's located about 25 minutes from Horn Lake and roughly the same distance from Byers. And the other major part of this basketball family is their 5-year-old son Jaydon -- biologically, he is Janna's from a previous relationship, but he is clearly the light of both their lives. "Jaydon is a coach in training," Janna said. "He walks around the gym like he runs the place. He knows everyone, and he's bossy." Jaydon can be found sitting on Janna's bench or on Jason's, depending on the night. "He knows all the players on both teams and all their jersey numbers," Janna said. "He knows them better than I do. Sometimes a college coach will say, 'What about No. 13?' And Jaydon will know the girl's name before I do." In the five years since Jaydon was born, Jason and Janna have combined to win six state titles -- an impressive haul. But whose program is better? They both agree that Jason won their only matchup in the regular season. But in summer ball, Janna said, her team beat his, which differs from Jason's recollection. "That's a sensitive subject," Janna said. "He doesn't want me to have bragging rights, but the first time we played them, we beat them. "But it was not about Jason Thompson -- contrary to his popular belief. It was just that we beat H.W. Byers." Arlington (61) — Raegyn Branch 18, Mirrakohl Johnson 8, Ashley Lee 12, Cheiyanne Norton 3, Tori Sewell 20. Dyer Co. (51) — Crane 2, Enochs 5, Hicks 7, Luckett 4, Owen 18, Thompson 11, Pugh 2, Manpin 2. Records — Arlington 24-9, Dyer Co. 30-1. Central (52) — Miyah Barnes 8, Jasmine Carson 19, Tijuana Griggs 6, Johne’ Stewart 12, Jireh Washington 7. Overton (58) — Rodrea Echols 6, Marquesha Fennell 3, Kyla Green 9, Dontrecia Johnson 3, Jalisa Jones 15, Ciera Pettis 7, Kayla Williams 15. Records — Central 19-10, Overton 24-4. 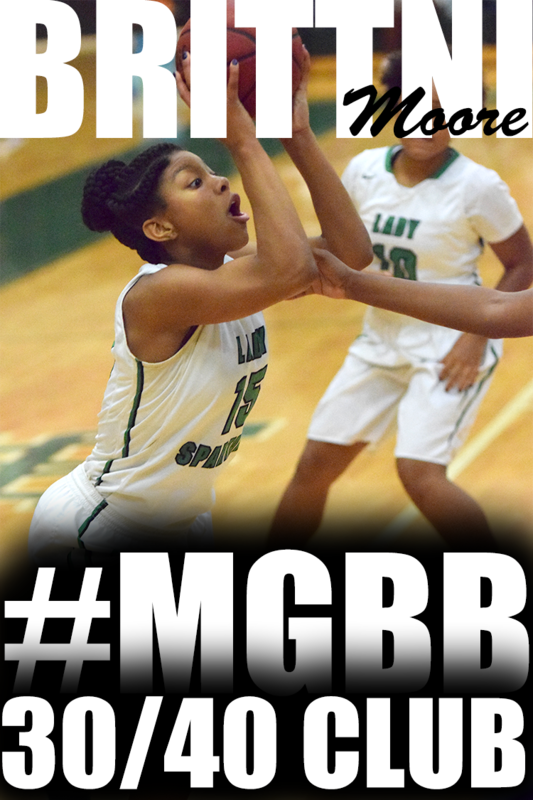 White Station (60) — Allanna Black 3, Damiah Griffin 23, Tamia Jones 4, Taelor Manning 2, Dejah Montgomery 3, Brittni Moore 2, Emanye Robertson 18, Taylor Williams 5. Ridgeway (73) — Takesia Barnes 2, Brandi Beasley 18, Kendra Boone 4, Oreonna Brown 7, Alexus Bryson 3, Elizabeth Dixon 4, Eryn Foster 14, Breouanna Humphrey 13, Tierney Paylor 6, Kiara White 2. Liberty Tech (40) — Aliyah Collins 2, Cortney Fisher 12, Brindy Fuller 7, Kierra Linton 6, Aleysia Mason-Pavia 3, Teja Pearson 10. Craigmont (58) — Kiara Caswell 3, Danielle Conley 15, Alexis McFarland 5, Morgan Morris 10, Daja Scurlock 25. Records — Liberty Tech 13-11, Craigmont 25-6. 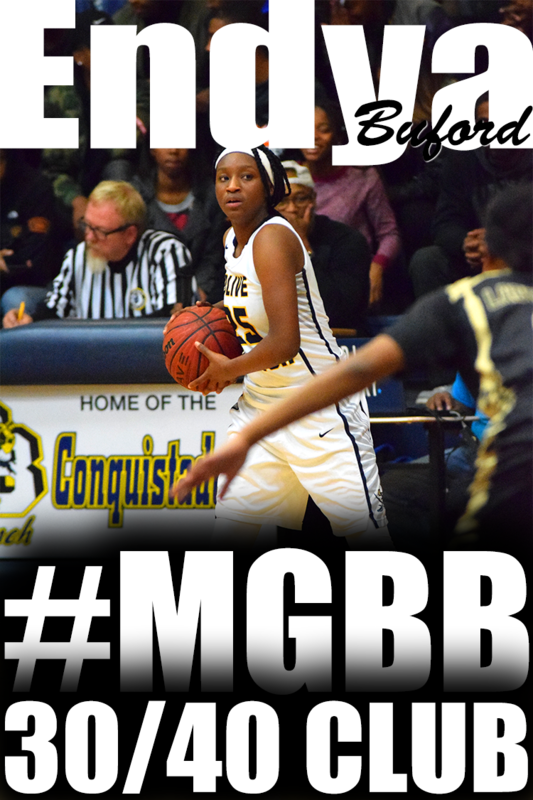 Covington (47) — Tia Bland 5, Kiara Booker 9, Chelsea Dye 11, Alexis Johnson 5, Treasury Poindexter 8, Iesha Tipton 9. Haywood (52) — Cunningham 5, Flagg 8, J. Shutes 17, Smith 9, Wilson 3, Young 10. Records — Covington 16-16, Haywood 22-8. Riverside (65) — Chumney 7, N. Scott 1, McElrath 8, Walker 17, Linton 14, L. Scott 18. Mitchell (50) — Dominique Chatman 8, Tyarica French 4, DeMiya Grandberry 12, Nicole Johnson 4, Equeria Patterson 8, Derenisha Taylor 14. Records — Riverside 22-8, Mitchell 26-7. 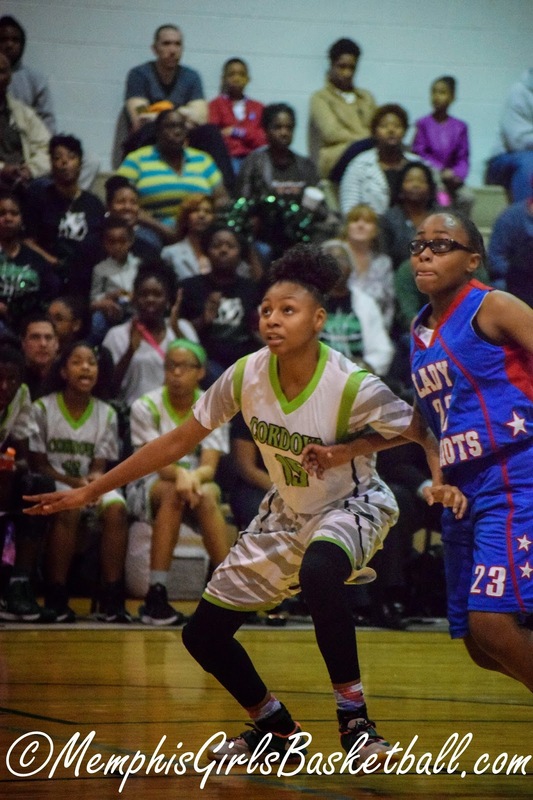 Northside (32) — Amber Cohen 12, Lindsey Laird 1, Amber Mitchell 2, Starkisha Saine 4, Christina Taylor 5, Joy Westbrook 8. Middleton (79) — Joy 17, Mason 17, Perry 14, Pledge 4, Warren 8, Wadley 5, Parks 8, Smith 6. Records — Northside 17-11, Middleton 29-0. 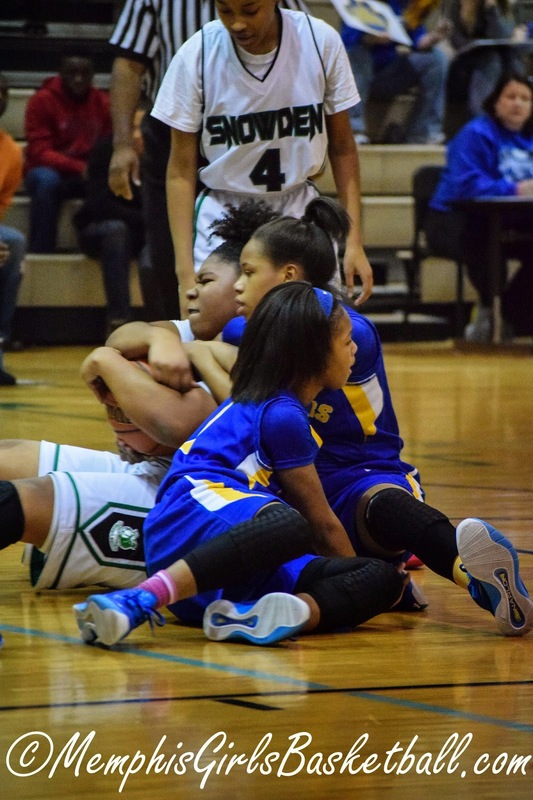 Washington (24) — Sky-Lynn Bright 7, Brandi Davis 3, Carnessia Griggs 2, Derrinesha Jackson 6, Asia Mosley 2, Tiana Williams 2, Wright 2. Riverside (55) — Chumney 14, Woody 2, N. Scott 2, McElrath 8, Walker 5, Haggard 5, Linton 14, L. Scott 5. Records — Washington 22-8, Riverside 21-8. Ask Po Po #5: How to Get D1 Schools to look at you? Hardin Co. (39) — Cassey 9, Gray 4, Hunt 3, Nix 5, Shannon 4, Timberman 1, Stricklin 10, Martin 3. Arlington (74) — Raegyn Branch 8, Nakia Grandberry 24, Mirrakohl Johnson 11, Ashley Lee 7, Callie McMorran 9, Cheiyanne Norton 2, Tori Sewell 13. Brighton (39) — Danielle Collins 2, Lilly Hill 1, Keyona Johnson 3, Shayna Johnson 10, Lindsey Morrissett 2, Makayla Rose 9, Sam Sloan 4, Kyla Taylor 6, Onyx Magno 2. 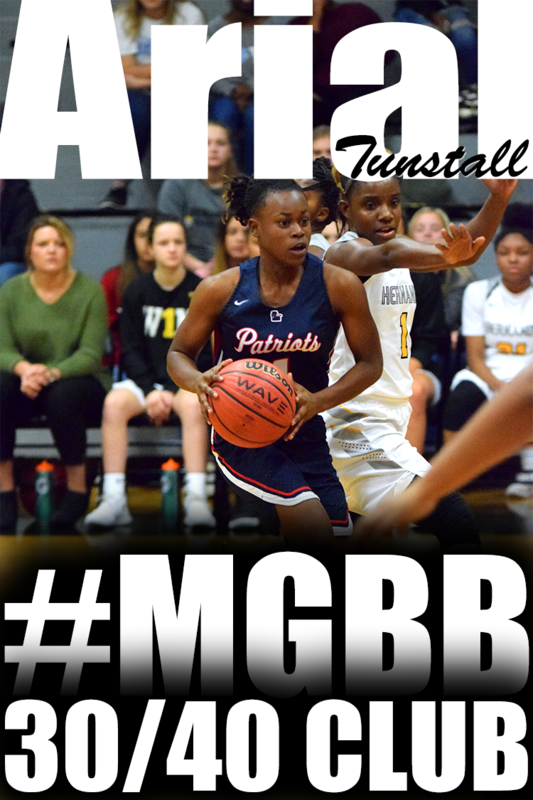 Bartlett (69) — Madelyn Anguiano 1, Madison Carroll 3, Bethany Davis 4, Stella Gill 3, Jessica Jackson 26, Ashley Payne 3, Charity Savage 20, Dee Dee Williams 7, Kamisha Wright 2. 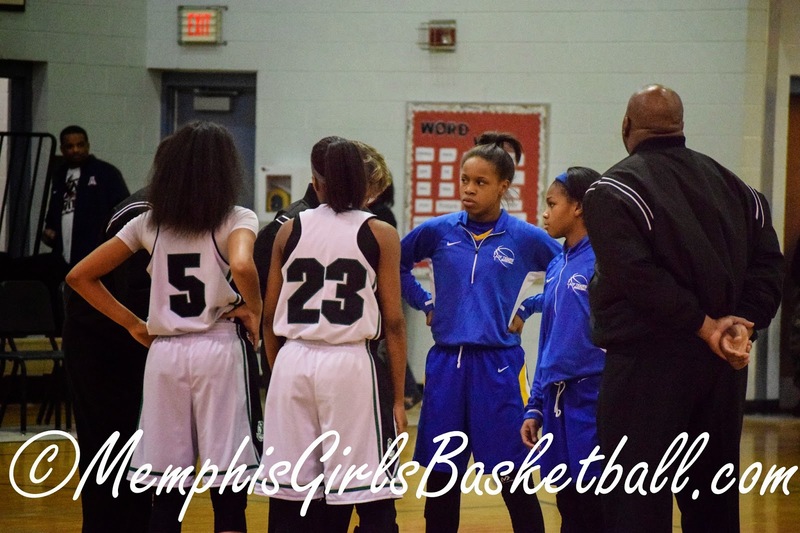 Cordova (43) — Zakyia Head 5, Taylor Lattimore 14, D’Andra Poe-Wilkins 6, Jerhonise Rollins 4, Karai Samuels 8, K’Yanna Terry 4, Jasmine Walker 2. Munford (66) — Gabby Crawford 25, Phenicia Howard 10, Shania Johnson 4, Johnna Jones 11, Lindsey Owen 5, Kierra Richardson 11. 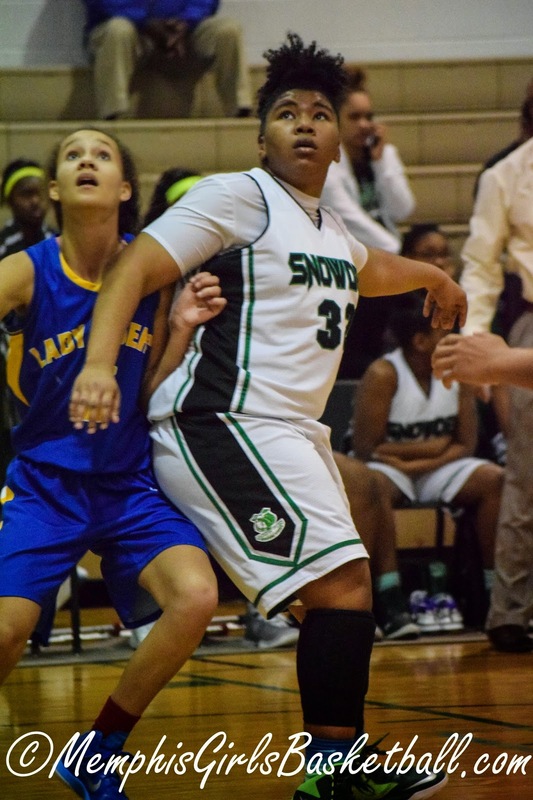 Kirby (34) — Alexis Acoff 11, Bryunna Buntyn 2, Marneisha Hamer 6, Shakira Neal 5, Juantia Walton 10. Overton (59) — Rodrea Echols 15, Marquesha Fennell 8, Kyla Green 10, Dontrecia Johnson 6, Jalisa Jones 4, Ciera Pettis 6, Kayla Williams 10. Whitehaven (50) — Brandi Clay 6, Ebony Malone 2, Maia McCoy 9, Tia Polk 2, Jasmine Rhodes 1, Brianna Shaw 10, Lanecion Soward 2, Morgan Walton 2, Ariel Williams 16. Ridgeway (62) — Brandi Beasley 11, Oreonna Brown 4, Alexus Bryson 3, Elizabeth Dixon 4, Eryn Foster 16, Breouanna Humphrey 10, Tierney Paylor 14. 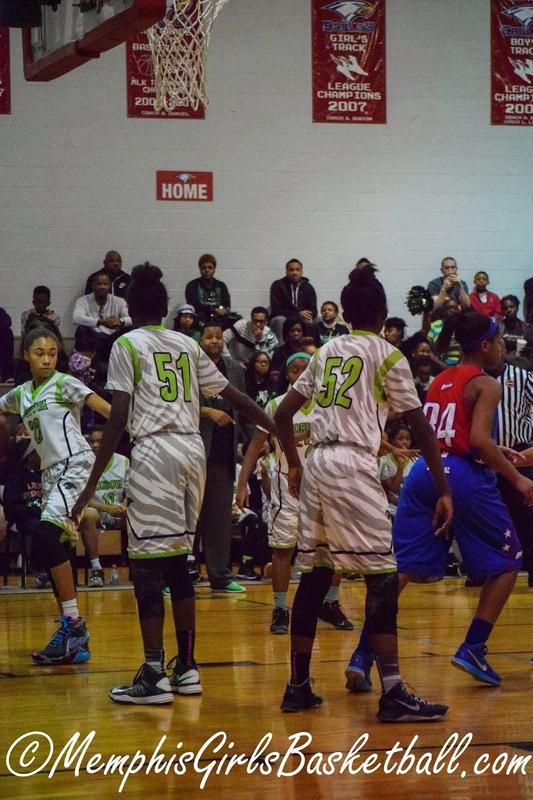 Central (46) — Miyah Barnes 18, Jasmine Carson 8, Tijuana Griggs 4, Johne’ Stewart 6, Jireh Washington 10. 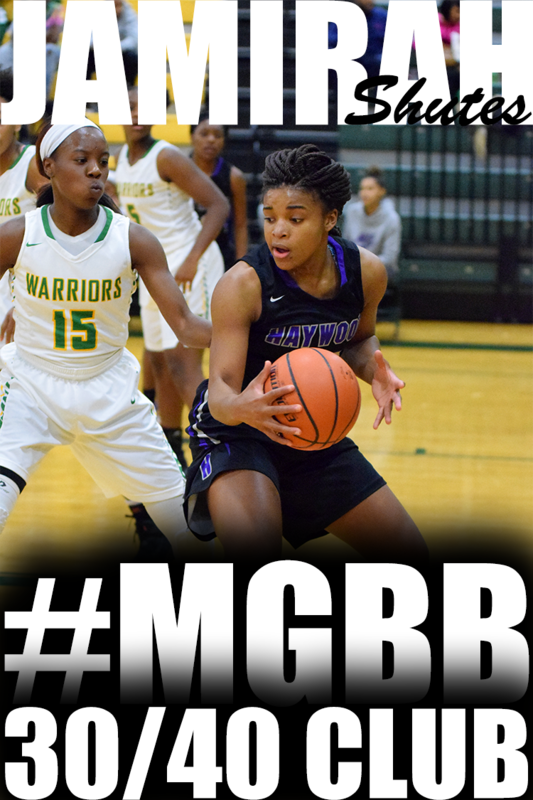 Southwind (38) — Kiante Butts 8, Kiara Lowery 5, Ebony Shaw 14, Jasmine Suggs 11. Records — Central 19-9, Southwind 18-11. 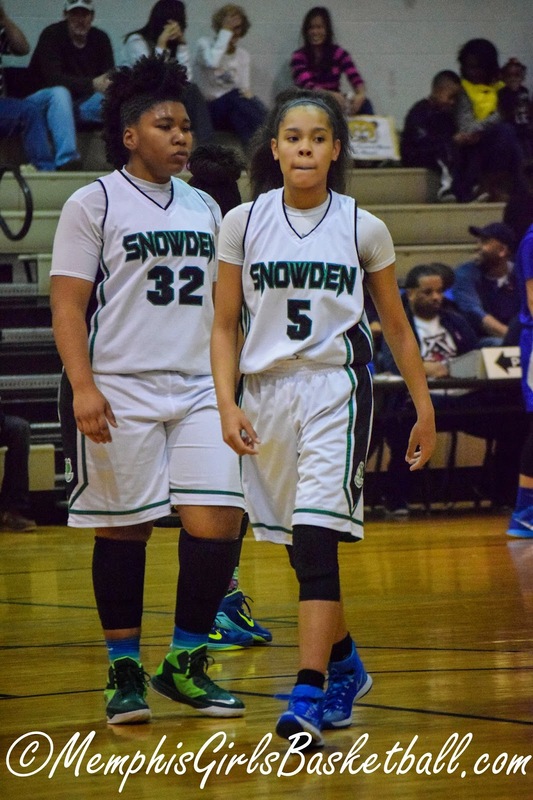 Houston (52) — Shaela Gardner 7, Sydney Malone 3, Jaida Roper 36, Shannon Sharp 4, Kelsey Trice 2. 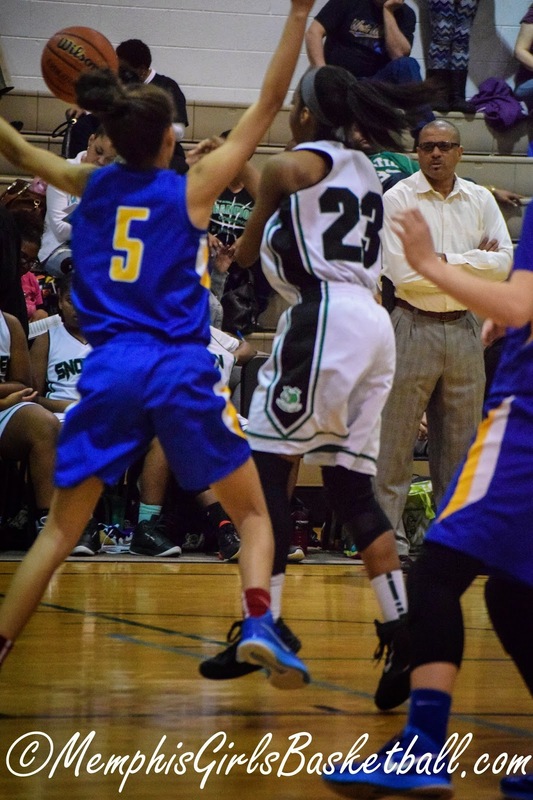 White Station (58) — Damiah Griffin 4, Kyla Harris 2, Taylor Hayes 4, Taelor Manning 4, Dejah Montgomery 6, Brittni Moore 6, Emanye Robertson 21, Taylor Williams 11. Covington (80) — Tia Bland 10, Kiara Booker 14, Chelsea Dye 5, Destiny Foster 4, Malia Johnson 4, Treasury Poindexter 23, Iesha Tipton 20. 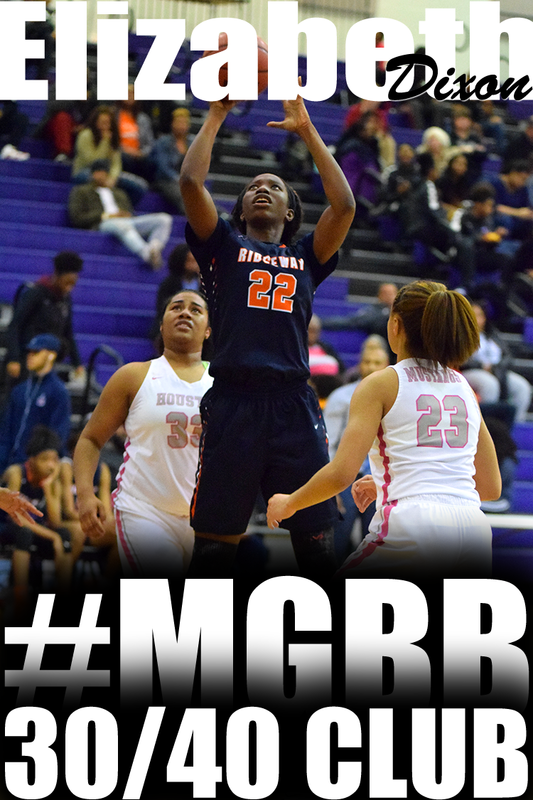 Douglass (62) — Marquera Carnes 13, Jahmere Dangerfield 6, Gazmyne Herndon 27, Jerrica Johnson 12, Benesha Rainey 4. Records — Covington 16-15, Douglass 20-10. 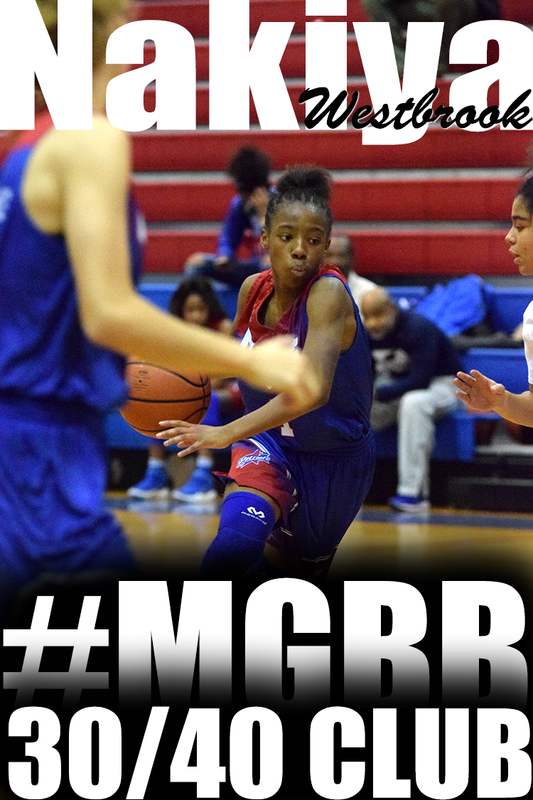 Jackson Northside (36) — Quayla Greer 2, Morgan Harris 2, Imani Hayes 4, Jada Perkins 26, Dajiah Warmack 2. Craigmont (89) — Kiara Caswell 3, Danielle Conley 18, Taylor Crutcher 1, Keveana Fayne 7, Alexis McFarland 8, Morgan Morris 9, Jessica Neal 4, Tiara Reed 9, Daja Scurlock 28, Jasmyne Thornton 2. Scotts Hill (49) — Danielle Maness 9, Elezabeth Barrow 9, Katie Wyatt 6, Kaitlyn Hayes 13, Aliyah Brasher 12. 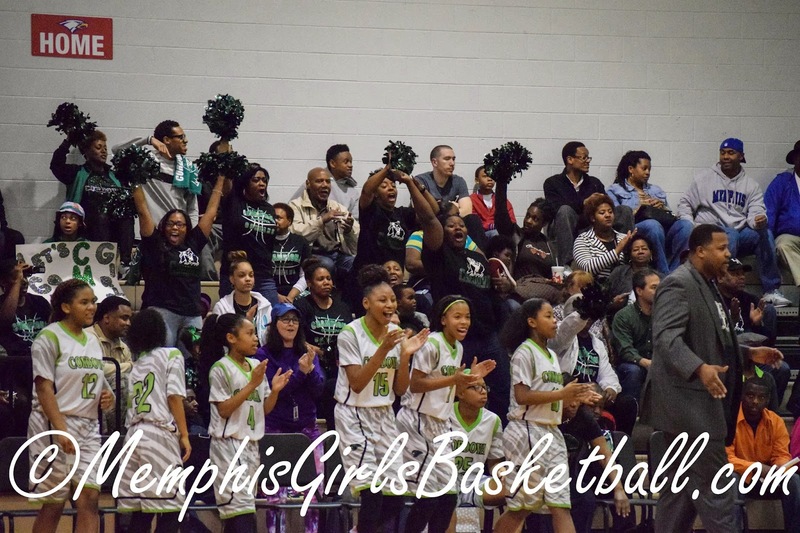 Mitchell (52) — Dominique Chatman 6, Tyarica French 2, DeMiya Grandberry 11, Kiara McCollins 4, Equeria Patterson 8, Derenisha Taylor 21. Records — Scotts Hill 15-14, Mitchell 26-6. 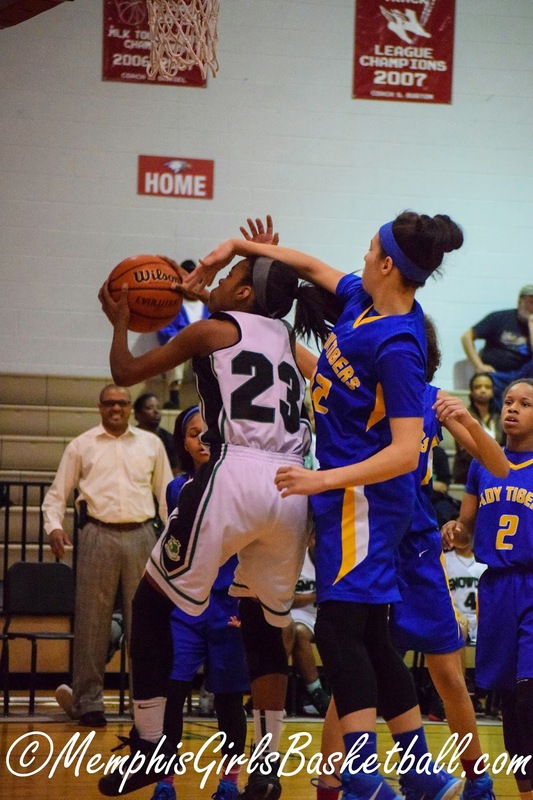 Trinity Christian (64) — Ross 10, Lytle 31, Akin 2, Lee 13, Turner 3, Bratton 3, Carpenter 2. Oakhaven (50) — Corlisha Howard 27, Ladawna Jones 15, Ari-zhane Lynch 2, Lydia Robertson 2, Simantha Smith 3, Darneisha Tucker 1. Chattanooga Baylor (55) — K. Clemons 16, J. Willis 6, C. Huckabay 6, A. Hubert 8, M. Long 16, S. Popp 3. St. Benedict (48) — Taylor Barnes 18, Bailey Coppedge 3, Kristina Ferris 8, Courtney Parker 9, Nicole Ungaro 10. Records — Baylor 19-9, St. Benedict 18-10. Father Ryan (41) — Burdge 3, Carletello 5, Proctor 9, Rider 5, Rolick 6, Wheby 13. 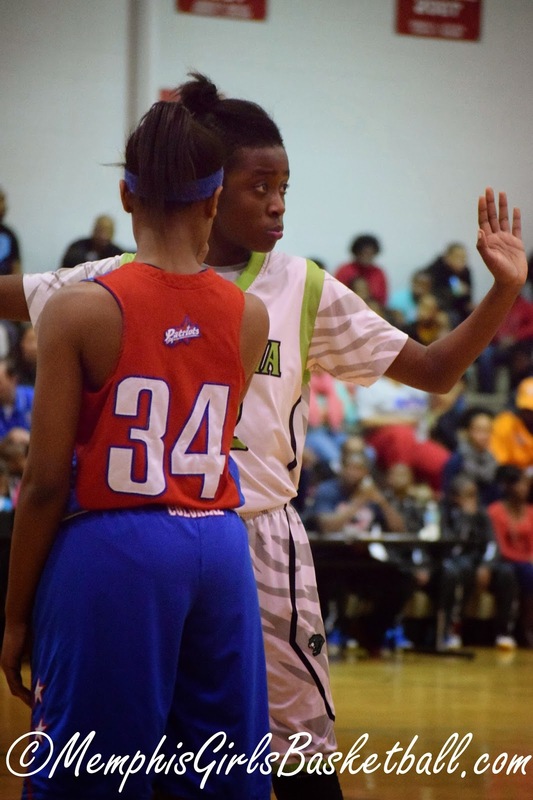 Briarcrest (44) — Brynn Holden 13, Elise Holden 16, Morgan Hunt 8, Tatianna Love 2, Savanna Owens 3, Alyiah Wells 2. USN (29) — Morrill 4, Rabb 16, Porter 5, Roth 4. Harding (48) — Kelsi Elkins 6, Anna Horner 12, Antoinette Lewis 14, Sarah Luttrell 8, Elaine Savage 2, Callie Stubbs 6. Bolton at Dyer County, 6 p.m.
Hardin County at Arlington, 6 p.m.
Brighton at Bartlett, 6 p.m.
Cordova at Munford, 7 p.m.
Bolton at Hardin County, 7 p.m.
Munford at Cordova, 7 p.m.
Bartlett at Dyer County, 7:30 p.m.
Brighton at Arlington, 7:30 p.m.
Whitehaven at Ridgeway, 5 p.m.
Central at Southwind, 5:30 p.m.
Kirby at Overton, 7 p.m.
Houston at White Station, 7 p.m.
Ridgeway at East, 7 p.m.
Southwind at Hamilton, 7 p.m.
Overton at Germantown, 7 p.m.
Central at Houston, 7 p.m.
Trezevant at Brownsville Haywood, 6 p.m.
Jackson North Side at Craigmont, 6 p.m.
Covington at Douglass, 7 p.m.
Raleigh-Egypt at Jackson Liberty Tech, 7 p.m.
Jackson North Side at Sheffield, 7 p.m.
Trezevant at Ripley, 7 p.m.
Covington at Craigmont, 7:30 p.m.
Douglass at Brownsville Haywood, 7:30 p.m.
Jackson Trinity Christian at Oakhaven, 4 p.m.
BTW at Riverside, 4 p.m.
Scotts Hill at Mitchell, 6 p.m.
Northside at Middleton, 6 p.m.
Adamsville at BTW, 7 p.m. Carver at Jackson Trinity Christian, 7 p.m.
Madison at Mitchell, 7:30 p.m.
Soulsville at Middleton, 7:30 p.m.
Chattanooga Baylor at St. Benedict, 4:30 p.m.
Montgomery Bell Academy at CBHS, 7 p.m.
Franklin Road Academy at St. George’s, 6 p.m. The TSSAA removed Riverdale and Smyrna from the high school girls basketball postseason on Monday following a report from a high school referee in charge of their District 7-AAA consolation game held Saturday where he said that both schools "played to lose the game." Both Rutherford County schools were placed on restrictive probation by the high school association for the rest of the school year and probation for the 2015-16 school year. Both schools were fined $1,500. Administrators from both schools met with the TSSAA on Monday. Smyrna principal Rick Powell said both he and Riverdale principal Tom Nolan asked to allow their teams to continue to play, but remove their respective coaches — Shawn Middleton at Smyrna and Cory Barrett at Riverdale — from the postseason. "I hate it for the kids because of the actions of the coaches," Powell said. "We pleaded with the TSSAA. We hated that they were penalized. But that was their decision. "We talked about removing them for games, but it may be just one game (if they lost), or it could be two or three... You don't know how many games it would be." Tullahoma (19-8) and Lawrence County (21-8) advanced to Wednesday's Region 4-AAA semifinals without play because of the TSSAA decision. No. 1 seed Tullahoma was scheduled to play Riverdale, which was ranked eighth in the final Associated Press Class AAA statewide poll. No. 2 seed Lawrence County was scheduled to play Smyrna. Neither Powell or Nolan were in attendance at Saturday's 7-AAA consolation game, which was held at Riverdale. Smyrna won 55-29.
e throws intentionally." And that Smyrna "wouldn't get the ball across the half-court line to get a 10-second count or to make us call an over and back violation intentionally." 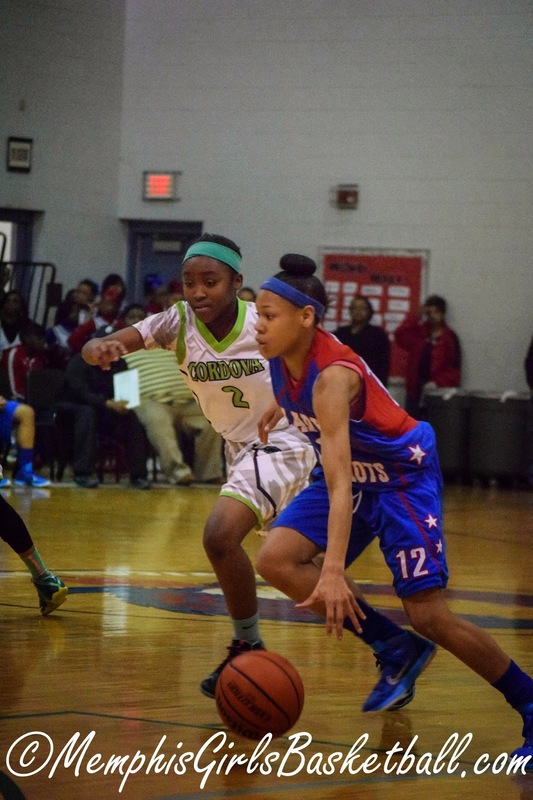 Starlandria Walton started this season off hot! In November, she had a 41, 37 and 30 point games. 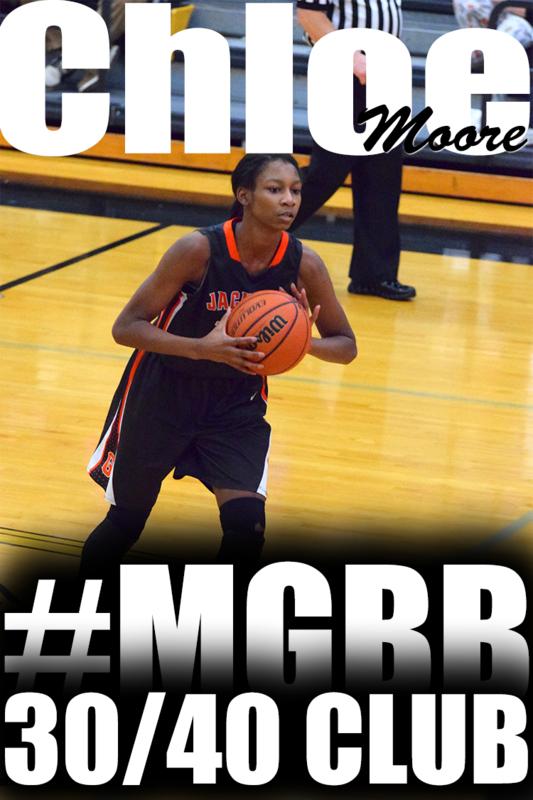 So far this season, she has scored over 30 points in 7 games. 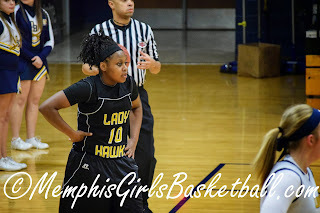 I watched her score 23 points including 10/10 from the line against Olive Branch and she was double, triple and quadruple-teamed in that game. 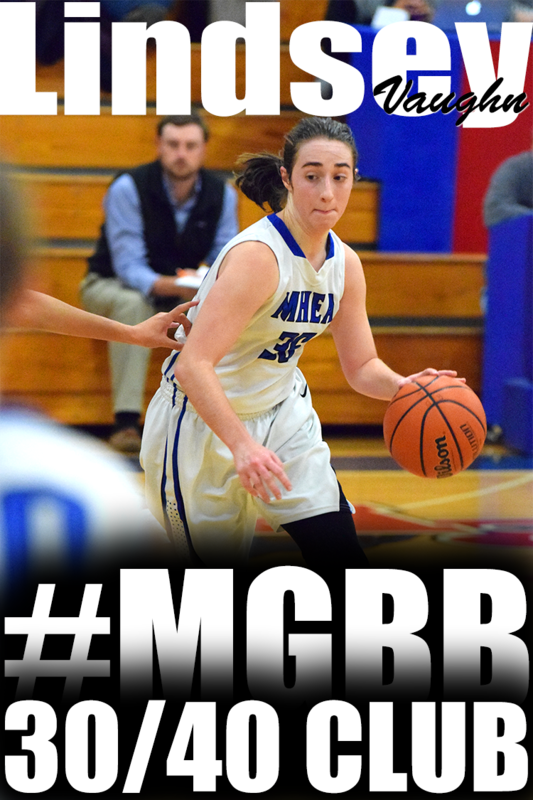 Through 26 games, she has scored 624 points which is a average of 24 points per game. She is a scorer. She gets by defenders and to the line. She can score off the dribble going left or right. She can also knock down the three. 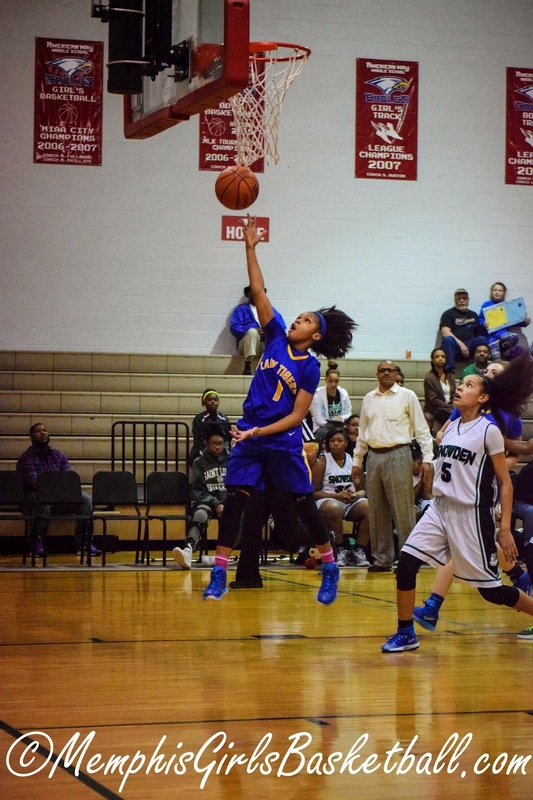 Southwind (51) — Kiante Butts 5, Pinkie Fossett 4, Destiny Henderson 1, Rochelle Lee 8, Ebony Shaw 26, Jasmine Suggs 7. Ridgeway (69) — Brandi Beasley 15, Oreonna Brown 5, Alexus Bryson 6, Elizabeth Dixon 4, Eryn Foster 22, Breouanna Humphrey 13, Tierney Paylor 4. Records — Southwind 18-9, Ridgeway 25-0. Douglass (58) — Marquera Carnes 12, Jahmere Dangerfield 8, Jennifer Fletcher 3, Gazmyne Herndon 20, Jerrica Johnson 5, Benesha Rainey 10. 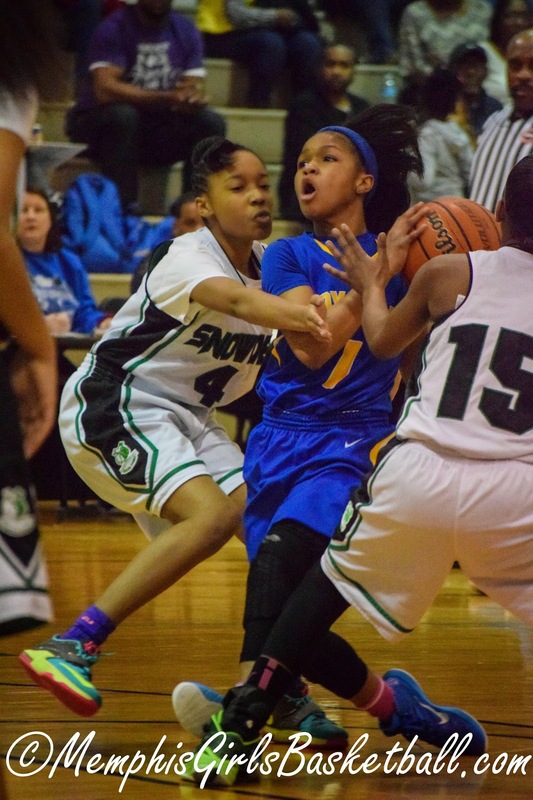 Craigmont (71) — Kiara Caswell 14, Danielle Conley 30, Keveana Fayne 8, Morgan Morris 6, Tiara Reed 2, Daja Scurlock 11. 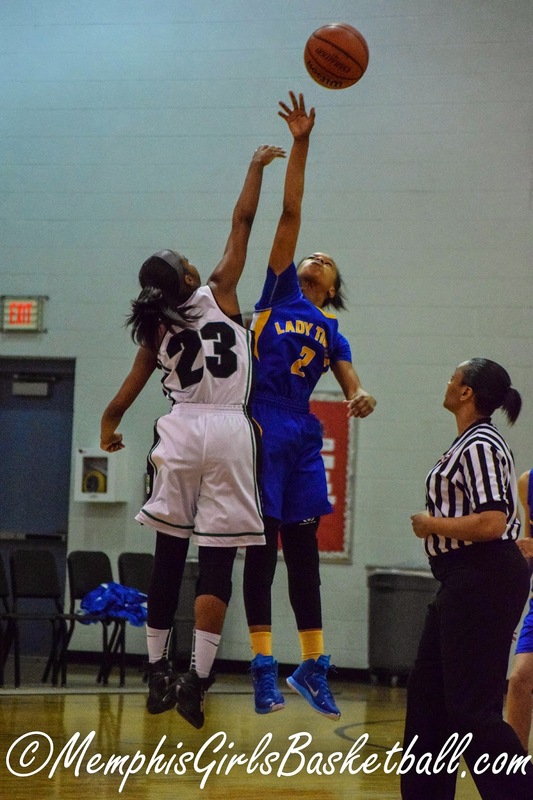 Oakhaven (35) — Tayonia Ash 2, Tenetria Brown 2, Corlisha Howard 9, Ladawna Jones 16, Ari-zhane Lynch 4, Ambreisha Smalls 2. Mitchell (58) — Dominique Chatman 12, Tyarica French 4, DeMiya Grandberry 7, Shakira Hearn 2, Nicole Johnson 9, Equeria Patterson 8, Derenisha Taylor 16. 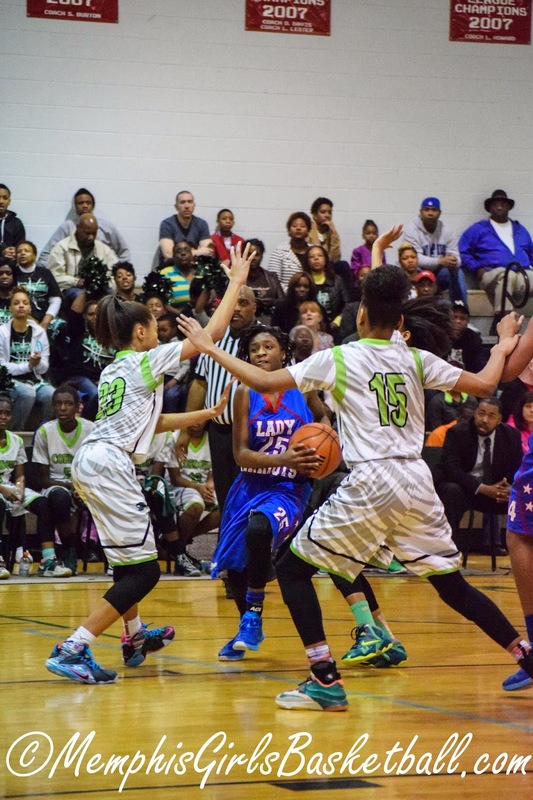 Northside (31) — Davida Beal 5, Amber Cohen 4, Amber Mitchell 9, Starkisha Saine 2, Christina Taylor 3, Joy Westbrook 8. 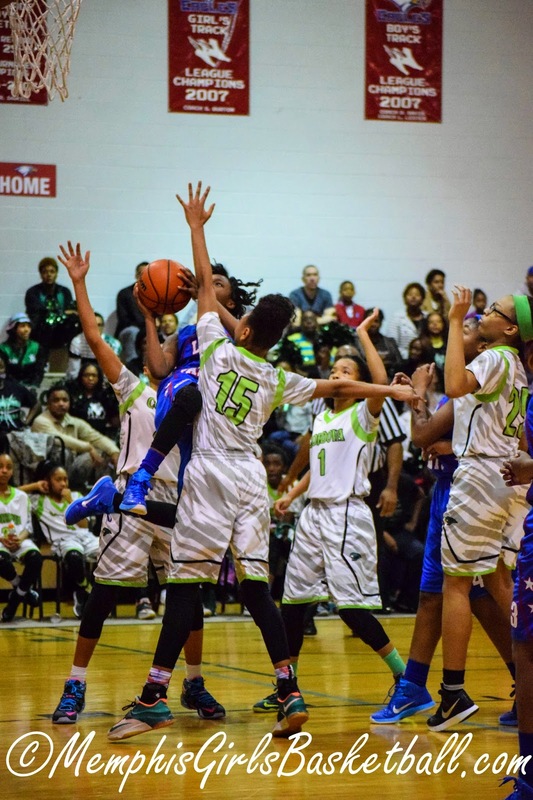 Washington (46) — Sky-Lynn Bright 8, Brandi Davis 7, Carnessia Griggs 8, Reneisha Hale 5, Derrinesha Jackson 2, Asia Mosley 12, Neisha Thomas 2, Tiana Williams 2. Records — Northside 18-10, Washington 22-7. 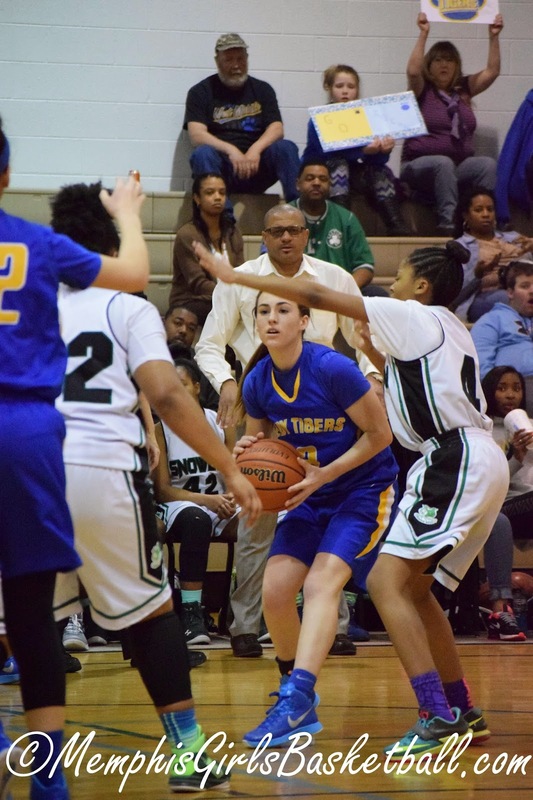 Ezell-Harding (57) — Parsons 9, Sneed 5, Senn 11, Beaty 15, Miller 6, Willoughby 11. Northpoint (62) — Ashtyn Baker 15, Lauren Decembrino 3, Lauren Gross 30, Karlie Hughes 12, Hannah Shafer 2. Records — Ezell-Harding 23-10, Northpoint 24-6. ECS (50) — Hope Gribble 6, Emily Lytle 24, Molly Martin 5, Celia Owens 8, Jordan Shackleford 3, Lee Ellen Stanley 4. Franklin Road Aca. (58) — J. Helman 3, C. Sawyers 15, K. Bell 23, L. Pierce 2, R. Casey 13, T. Casey 2. Lewisburg (63) — Madison Baldwin 11, Lauren Brady 3, Claire Fleming 4, Destiny Gardner 14, Jordyn Lentz 2, Molly Murphy 14, Ariel Tunstall 15. 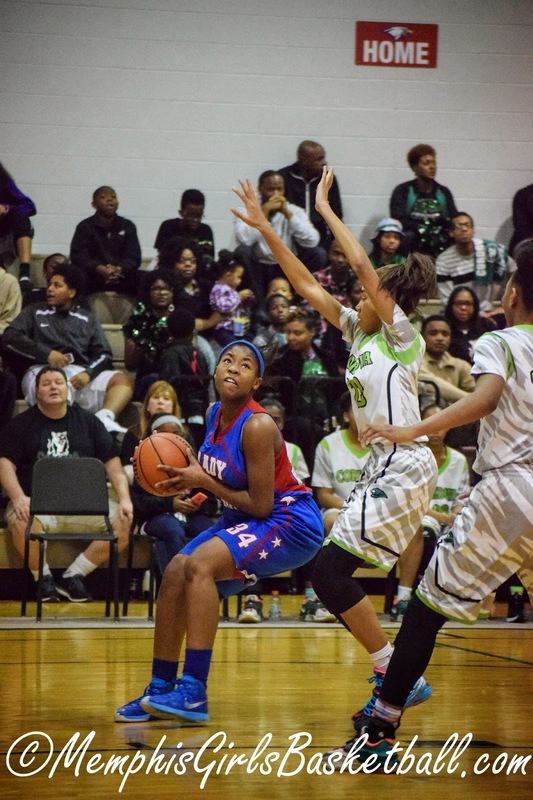 Clarksdale (55) — Hammond 13, D. Johnson 10, Miller 6, Moody 8, Shivers 18. Bartlett (46) — Stella Gill 1, Jessica Jackson 8, Ashley Payne 2, Charity Savage 13, Nyla Smith 2, Dee Dee Williams 18, Elizabeth Williams 2. Arlington (43) — Raegyn Branch 8, Nakia Grandberry 4, Mirrakohl Johnson 13, Ashley Lee 1, Callie McMorran 2, Cheiyanne Norton 6, Tori Sewell 9. Cordova (69) — Michaela Campbell 16, Taylor Christian 2, Zakyia Head 7, Taylor Lattimore 7, D’Andra Poe-Wilkins 4, Jerhonise Rollins 5, K’Yanna Terry 15, Jasmine Walker 6, Andreana Wrister 7. Bolton (56) — Christina Craft 6, Jaelyan Jones 2, Amrie Nickelson 10, Taylor Smith 13, Ayanna Swift 2, Heaven Thompson 15, Kerrice Watson 8. 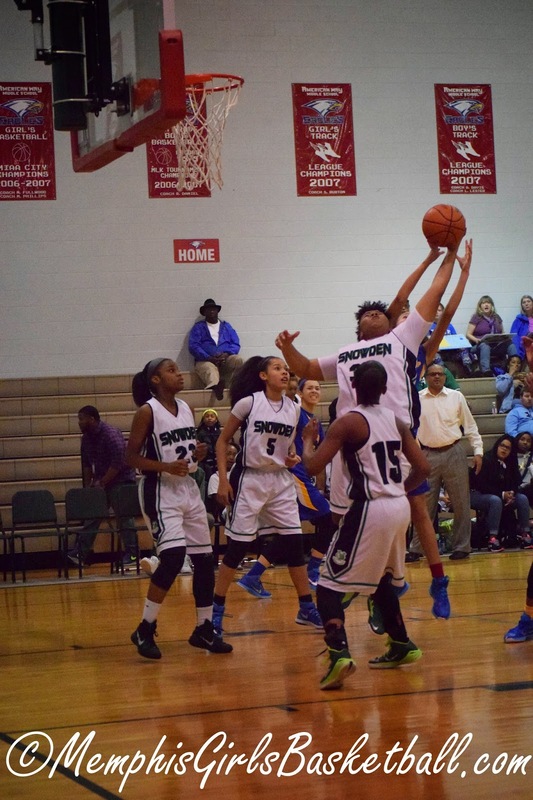 Houston (67) — Mary Collins 10, Maggie Crigler 2, Shaela Gardner 9, Sydney Malone 24, Jaida Roper 18, Shannon Sharp 4. 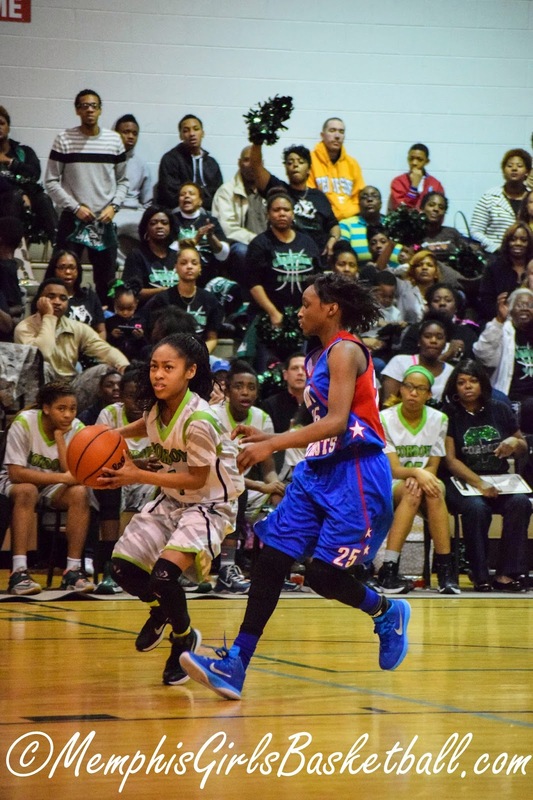 Kirby (46) — Alexis Acoff 4, Bryunna Buntyn 2, Marneisha Hamer 22, Shakira Neal 2, Stephanie Turner 4, Juantia Walton 12. 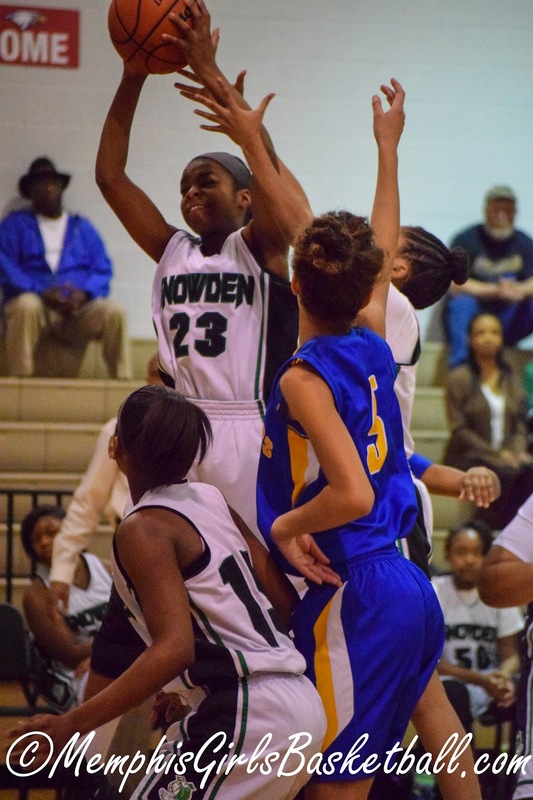 Trezevant (52) — Sade Hudson 13, Kourtney Walton 19, Marcee Williams 16, Andrea Willis 4. Raleigh-Egypt (62) — Taylor Bridges 6, Dynesha Echols 4, Brenda Fields 18, Jerika Isom 2, Brittany Johnson 5, Manaya Jones 18, Kiera Murray 9. 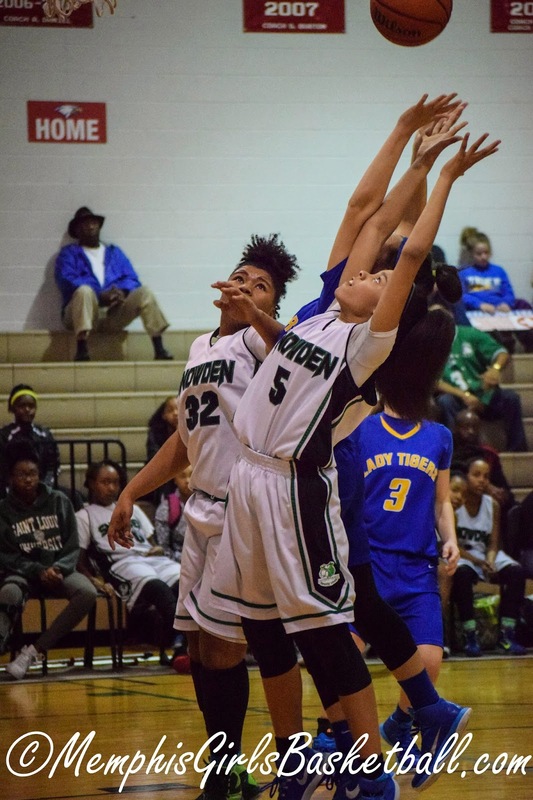 Oakhaven (56) — Corlisha Howard 26, Ladawna Jones 12, Ari-zhane Lynch 8, Ambreisha Smalls 6, Simantha Smith 2, Darneisha Tucker 2. 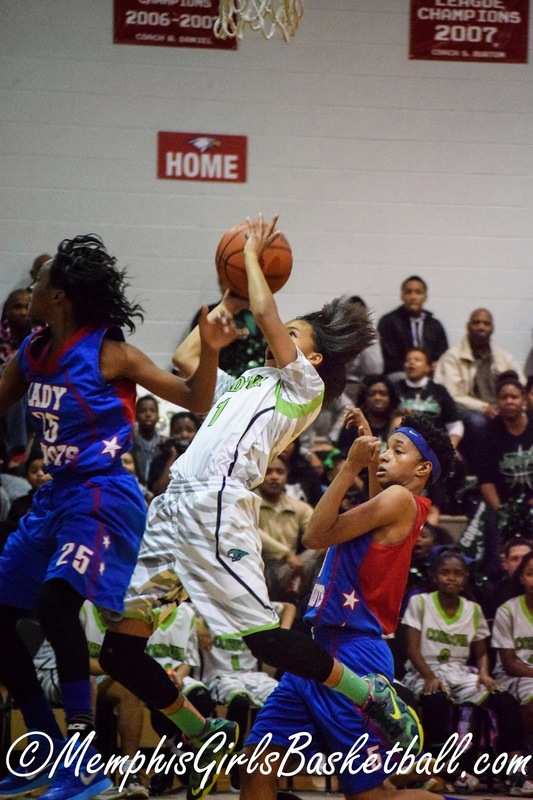 Washington (48) — Sky-Lynn Bright 11, Brandi Davis 8, Carnessia Griggs 7, Reneisha Hale 8, Derrinesha Jackson 6, Asia Mosley 8. Records — Oakhaven 18-3, BTW 21-7. Hutchison (44) — Kerrigan Braxton 6, Gardner Dunavant 14, Elizabeth Farnsworth 12, Reba Moody 4, Catey Nelson 8. St. Agnes (45) — Wallis Jenkins 15, Amanda Lammey 9, Lauren Lewis 5, Caroline Pietrangelo 1, Kindall Ross 5, Rachel Siano 8, Amelia Wigley 2. Records — St. Agnes 9-14. Lake Cormorant (48) — K. Chaffin 9, T. Johnson 2, J. Suggs 14, T. Thomas 18, T. Wilson 4, K. McKenzie 1. Lewisburg (52) — Madison Baldwin 9, Lauren Brady 4, Claire Fleming 2, Destiny Gardner 21, Molly Murphy 3, Ariel Tunstall 13. 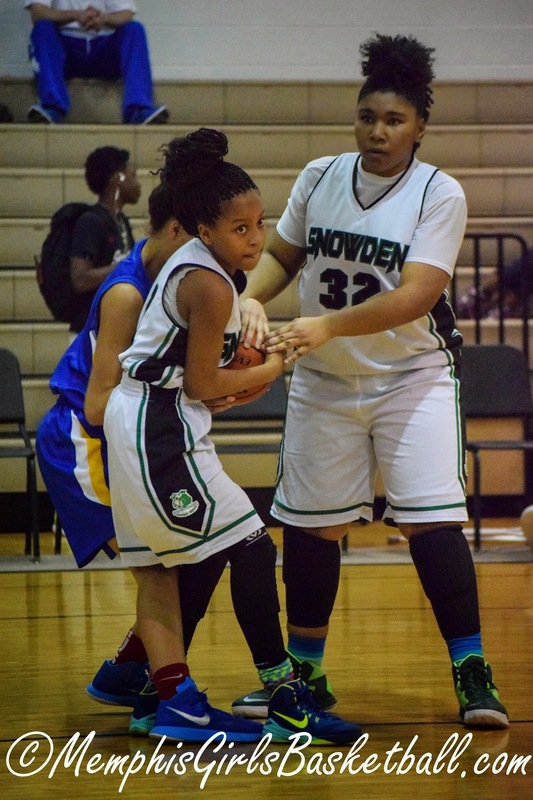 Basketball Season is winding down. Before you get started with AAU/Travel team activities, here are some things for you to consider. Cordova (32) — Michaela Campbell 8, Taylor Christian 2, Taylor Lattimore 5, Jerhonise Rollins 1, K’Yanna Terry 5, Jasmine Walker 3, Andreana Wrister 8. Arlington (63) — Raegyn Branch 11, Nakia Grandberry 10, Mirrakohl Johnson 12, Ashley Lee 7, Callie McMorran 12, Tori Sewell 11. Bolton (52) — Jaelyan Jones 2, Amrie Nickelson 2, Lakyia Parker 17, Keianna Thompson 3, Heaven Thompson 17, Kerrice Watson 11. Bartlett (73) — Stella Gill 9, Jessica Jackson 22, Ashley Payne 9, Charity Savage 13, Nyla Smith 9, Dee Dee Williams 11. 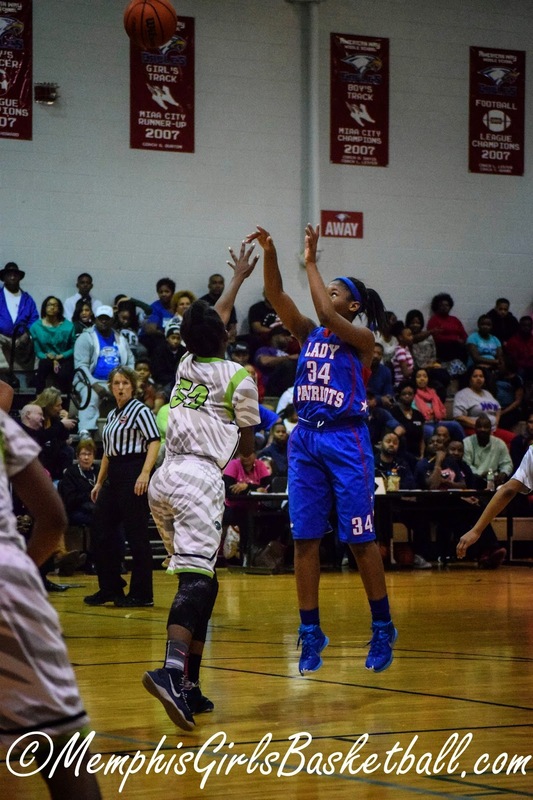 Southwind (39) — Asjah Anthony 3, Kiante Butts 15, Rochelle Lee 6, Kiara Lowery 2, Ebony Shaw 8, Jasmine Suggs 5. 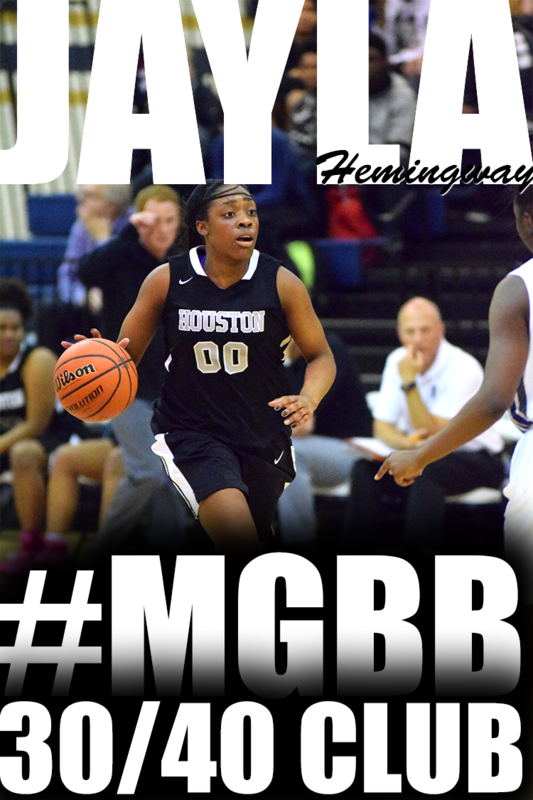 Houston (28) — Mary Collins 2, Shaela Gardner 5, Sydney Malone 7, Jaida Roper 10, Shannon Sharp 4. Ridgeway (66) — Brandi Beasley 17, Kendra Boone 4, Oreonna Brown 7, Alexus Bryson 5, Elizabeth Dixon 4, Eryn Foster 16, Breouanna Humphrey 4, Tierney Paylor 4, Sydney Savage 3, Kiara White 2. 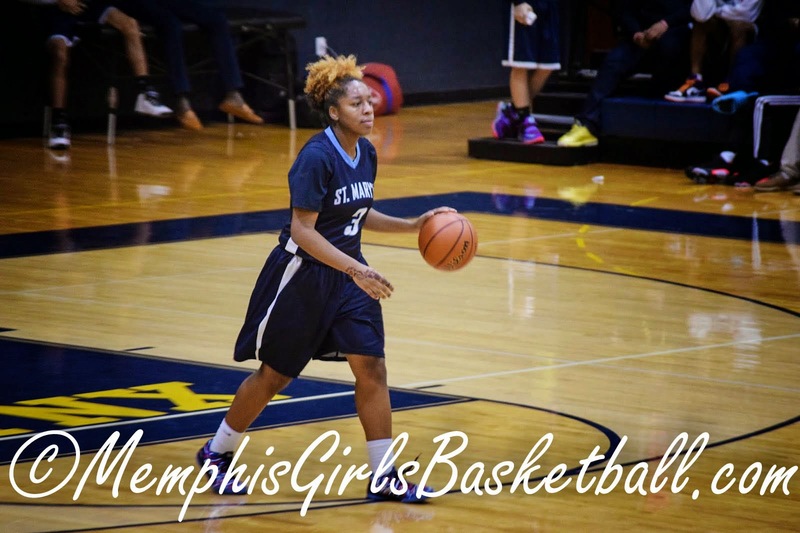 Kirby (24) — Alexis Acoff 2, Bryunna Buntyn 5, Marneisha Hamer 10, Shakira Neal 3, Juantia Walton 4. Trezevant (42) — Sade Hudson 15, Brandy Shannon 8, Kourtney Walton 5, Marcee Williams 8, Andrea Willis 6. Craigmont (53) — Kiara Caswell 11, Danielle Conley 29, Taylor Crutcher 2, Alexis McFarland 1, Morgan Morris 6, Daja Scurlock 4. Raleigh-Egypt (54) — Taylor Bridges 6, Brenda Fields 18, Diamond Hunt 5, Jerika Isom 6, Manaya Jones 19. Douglass (58) — Marquera Carnes 15, Jahmere Dangerfield 2, Gazmyne Herndon 24, Jerrica Johnson 4, Kierra Morris 2, Benesha Rainey 11. Northpoint (33) — Ashtyn Baker 11, Lauren Decembrino 1, Lauren Gross 6, Karlie Hughes 5, Hannah Shafer 6, Andrea Sparkman 4. Harding (40) — Zaria Christy 5, Kelsi Elkins 6, Anna Horner 4, Antoinette Lewis 16, Callie Stubbs 9. Lewisburg (48) — Lindy Anderson 2, Madison Baldwin 5, Lauren Brady 1, Claire Fleming 2, Destiny Gardner 23, Molly Murphy 1, Ariel Tunstall 14. Hernando (45) — Kinsley Capps 2, Kaylee Craig 2, Kaitlin Doyle 6, Patricee Hall 2, Kaitlin Jones 4, Lizzy Lloyd 7, Alyssa Sanders 4, Aaliyaha Thornton 16, Caroline Casey 2. Hutchison (32) — Kerrigan Braxton 6, Gardner Dunavant 2, Elizabeth Farnsworth 4, Macy McCullough 10, Catey Nelson 10. St. Benedict (59) — Taylor Barnes 12, Catalina Carrasco 3, Nicole Ferris 21, Kristina Ferris 2, Kaitlin Haynes 2, Courtney Parker 2, Braxton Powers 7, Victoria Rourke 2, Nicole Ungaro 8. Records — Hutchison 14-11 (1-5, Division 2-AA), St. Benedict 18-9 (4-2). St. Agnes (39) — Wallis Jenkins 11, Amanda Lammey 11, Lauren Lewis 5, Caroline Pietrangelo 6, Kindall Ross 6. Briarcrest (50) — Brynn Holden 6, Elise Holden 14, Morgan Hunt 16, Tatianna Love 5, Savanna Owens 9. Kingsbury (28) — Taya Banks 2, Marrisha Bell 4, Angilina Couch 4, Edrina Couch 2, Candiz Echols 7, Martha Eddings 7, Angel Fleming 2. Cordova (72) — Michaela Campbell 4, Taylor Christian 14, Zakyia Head 9, Taylor Lattimore 8, D’Andra Poe-Wilkins 6, Jerhonise Rollins 4, Karai Samuels 4, K’Yanna Terry 14, Jasmine Walker 2, Andreana Wrister 7. Records — Kingsbury 5-16, Cordova 12-12. Millington (27) — Tamia Aldridge 4, Jherika Brown 2, Traci Clark 5, Glenda Garner 9, Lindsey Harris 3, Marquisha Sanders 4. Bolton (45) — Christina Craft 10, Pedan Craig 4, Amrie Nickelson 1, Lakyia Parker 7, Ayanna Swift 6, Heaven Thompson 17. Records — Millington 4-25, Bolton 15-11. 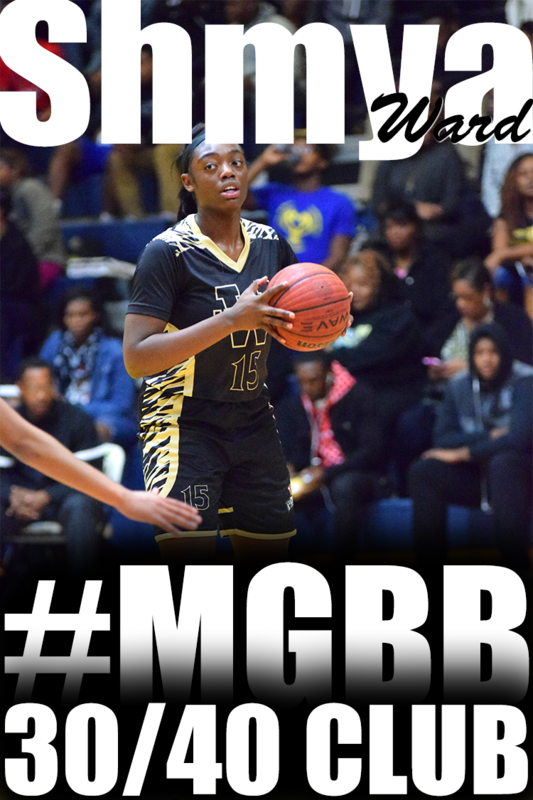 Whitehaven (53) — Brandi Clay 9, Maia McCoy 16, Tia Polk 3, Jasmine Rhodes 5, Morgan Walton 1, Ariel Williams 19. Central (62) — Miyah Barnes 22, Tijuana Griggs 12, Johne’ Stewart 14, Jireh Washington 14. 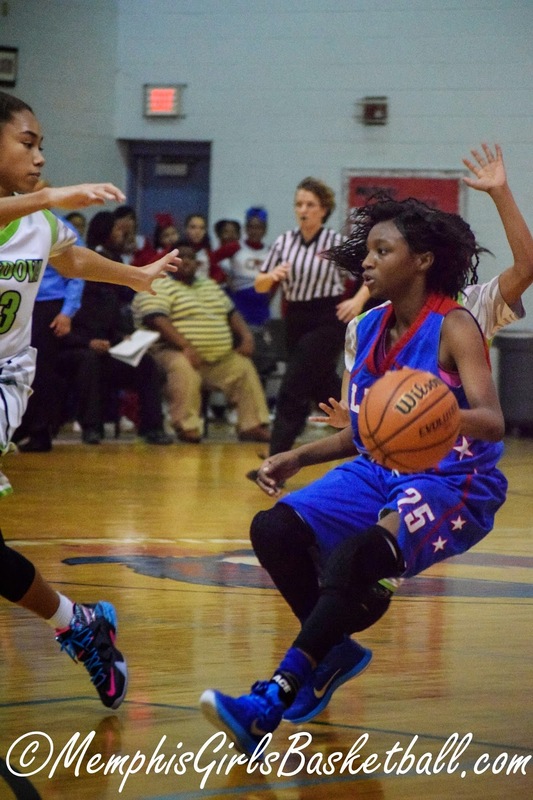 Northside (30) — Davida Beal 2, Amber Cohen 2, Amber Mitchell 9, Starkisha Saine 2, Christina Taylor 7, Joy Westbrook 8. Mitchell (62) — Dominique Chatman 6, Tyarica French 3, DeMiya Grandberry 12, Anterria Jackson 3, Nicole Johnson 3, Kiara McCollins 12, Equeria Patterson 8, Derenisha Taylor 15. ECS (36) — Emily Lytle 15, Molly Martin 3, Celia Owens 8, Jordan Shackleford 2, Lee Ellen Stanley 8. Harding (47) — Zaria Christy 4, Kelsi Elkins 12, Valecia Harris 2, Anna Horner 12, Antoinette Lewis 15, Callie Stubbs 2. Records — ECS 19-10, Harding 23-6. The AAA Mr. Basketball award will have a distinct Hoop City look about it this year. All three finalist for the award are from Memphis: future U of M Tigers Dedric and K.J. Lawson of Hamilton and Southwind's Ole Miss signee Donte Dorsey. The city was also well-represented in the other classifications Friday. Douglass standout LaGerald Vick is a finalist for the second straight year in AA, where he joins Braxton Blackwell of CPA and Jackson Southside's Chris McNeal. In Class A, Jeremiah Martin of Mitchell joins Tucker Campbell of Adamsville and Marcus Deberry of Union City. Briarcrest's Micah Thomas was chosen in Division 2-AA along with Jordan Bone of Nashville Ensworth and Darius Garland of Brentwood Academy. St. George's Justin Wertner is a repeat finalist in D2-A, joining Kenny Cooper of Franklin Road Academy and Dakota Quinn of Davidson Academy. Brandi Beasley, who has led Ridgeway to an undefeated season and a No. 4 national ranking in USA Today, is a finalist in AAA girls alongside Murfreesboro Blackman standouts Crystal Dangerfield and Alex Johnson. Ohio State signee Kaylan Pugh of St. Mary's, the state's leading scorer at 30 points per game, was chosen in D2 with last year's winner Micah Sheetz of Knoxville Webb and USJ's Anna Jones. The Division 2 winners will be announced on Feb. 28 at the conclusion of the state tournament in Nashville. The girls winner will be announced March 7 in Murfreesboro followed by the boys winner on March 14. 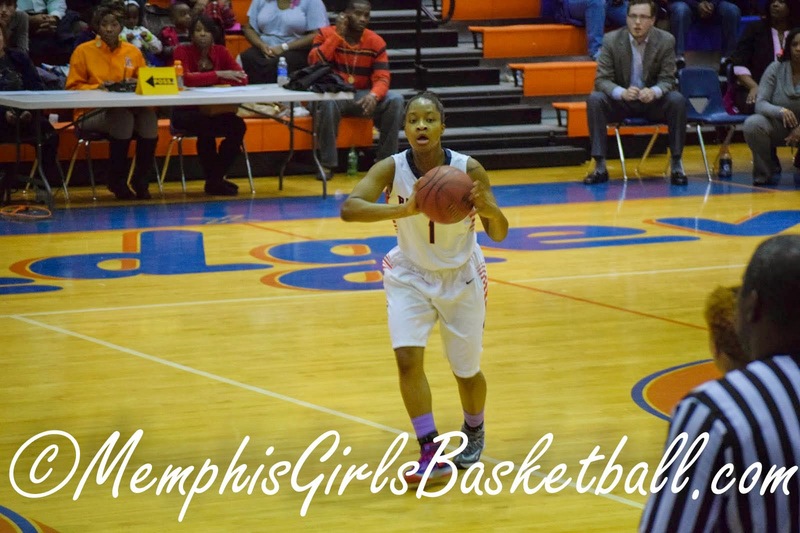 Kirby (62) — Alexis Acoff 21, Bryunna Buntyn 2, Marneisha Hamer 15, Shakira Neal 2, Stephanie Turner 9, Juantia Walton 13. Germantown (45) — Breanna Cowans 16, Brittany Cowans 4, Tangie Dunlap 8, Demonica Johnson 3, Destiny Manning 8, Davielle Moore 2, Carria Smith 4. 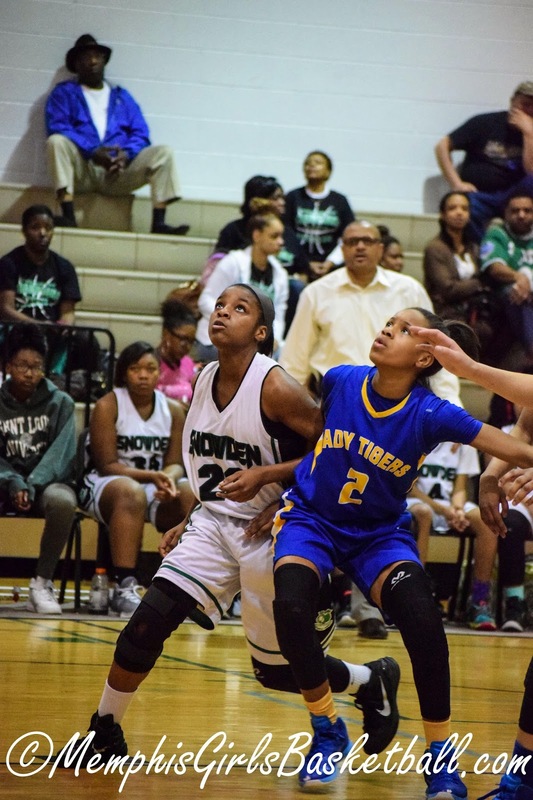 Wooddale (10) — TarShay Ivory 2, DaShona Richard 5, Brianca Williams 3. Houston (63) — Mary Collins 4, Shaela Gardner 12, Jasmine Malone 8, Sydney Malone 5, Jaida Roper 21, Shannon Sharp 11, Kelsey Trice 2. Collierville (29) — Vanessa Christensen 2, Kara Harbin 2, Hannah Oliver 2, Kyra Pryor 4, Madison Rozier 6, Destiny Shaw 4, Alexis Taylor 7, Lauren Taylor 2. 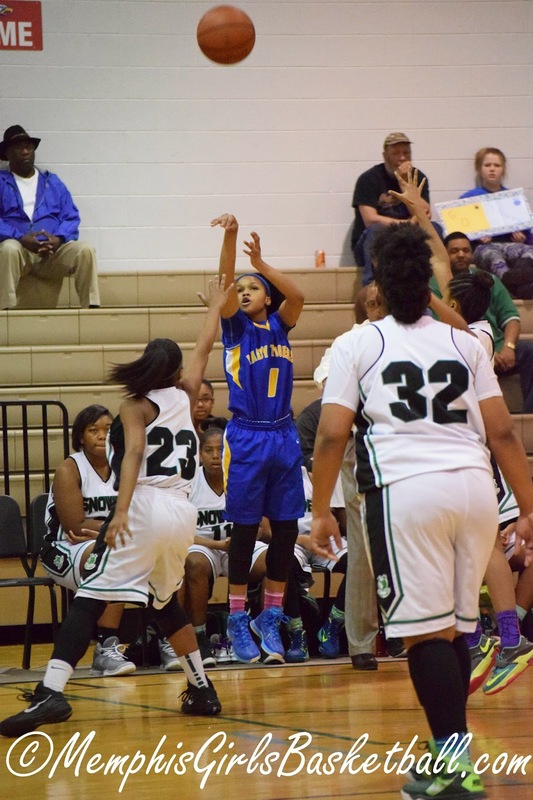 Southwind (35) — Kiante Butts 18, Pinkie Fossett 1, Destiny Henderson 4, Kiara Lowery 3, Ebony Shaw 3, Jasmine Suggs 6. 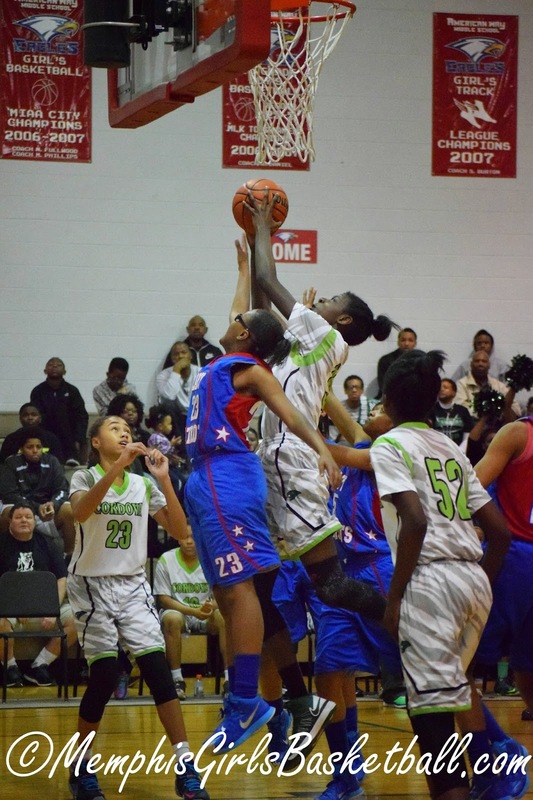 Liberty Tech (49) — Aliyah Collins 2, Cortney Fisher 9, Brindy Fuller 3, Arrianna Givens 2, Jordyn Johnson 4, Kierra Linton 7, Aleysia Mason-Pavia 8, Teja Pearson 14. 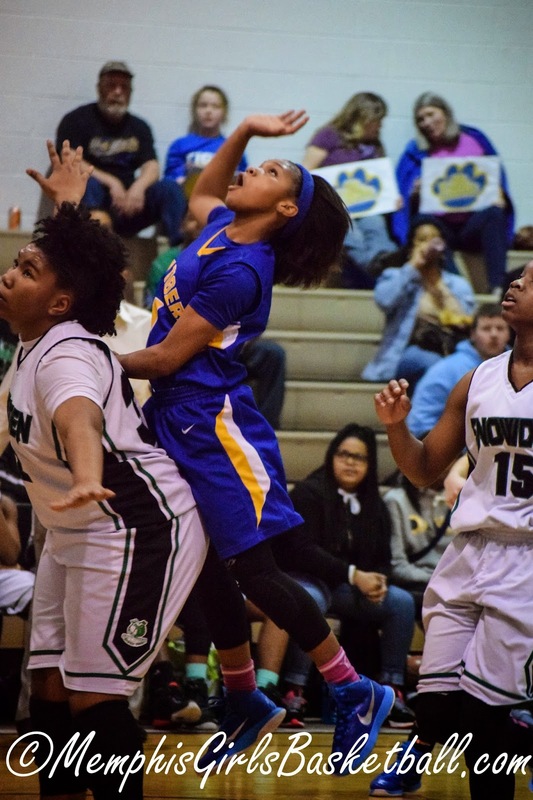 Covington (47) — Tia Bland 8, Kiara Booker 8, Chelsea Dye 7, Alexis Johnson 4, Malia Johnson 1, Treasury Poindexter 8, Iesha Tipton 9, Anne Marie Van Cleve 2. Records — Liberty Tech 13-10, Covington 14-15. 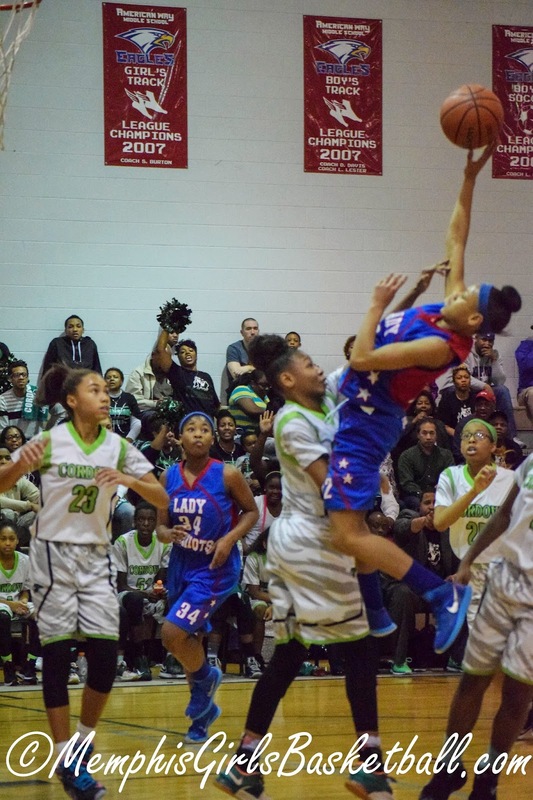 Manassas (84) — Joslynn Basemore 46, Sachmere Bougard 1, Ranisha Brown 4, Rakeeva Curry 4, Laronia Farley 12, Shyanne Stevenson 17. Trezevant (90) — Heaven Frye 2, Sade Hudson 20, Marlene Moore 9, Brandy Shannon 7, Kearra Tucker 2, Kourtney Walton 5, Marcee Williams 24, Andrea Willis 21. 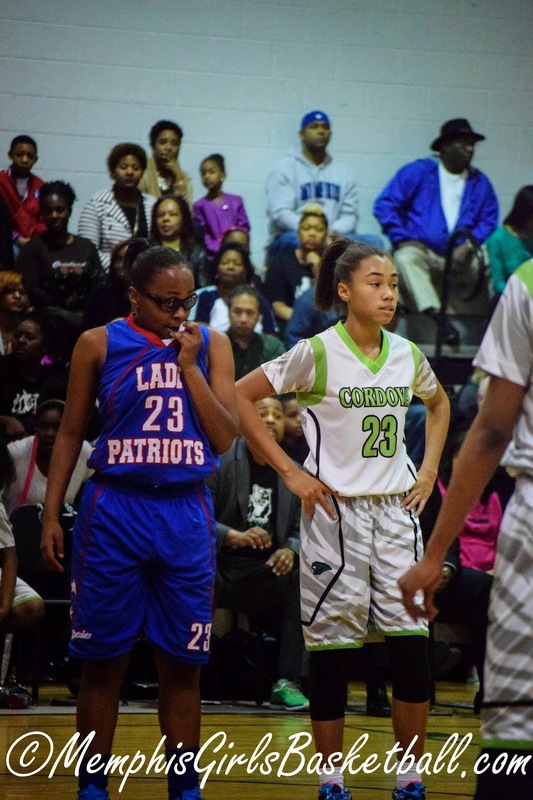 MLK Prep (24) — Quiesha Paige 6, LaKeisha Robinson 14, Ronnie Williams 4. 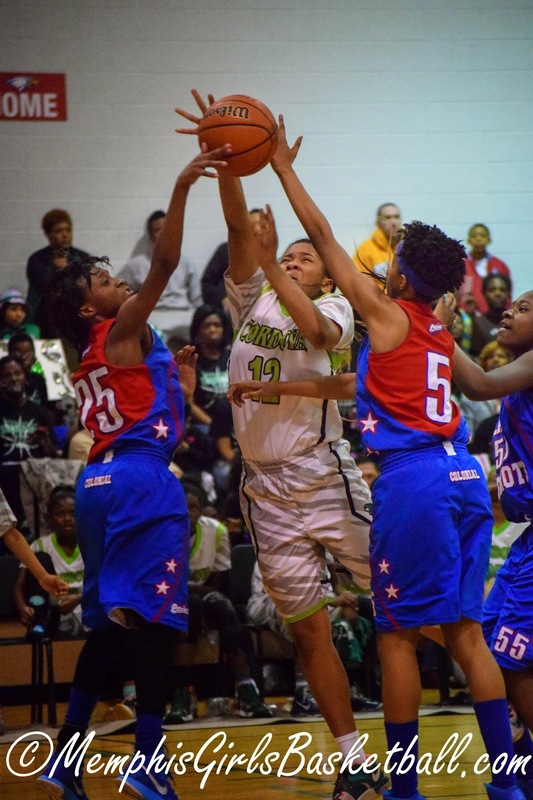 Craigmont (69) — Kiara Caswell 12, Danielle Conley 9, Alexis McFarland 20, Morgan Morris 14, Jessica Neal 4, Tiara Reed 2, Jasmyne Thornton 8. 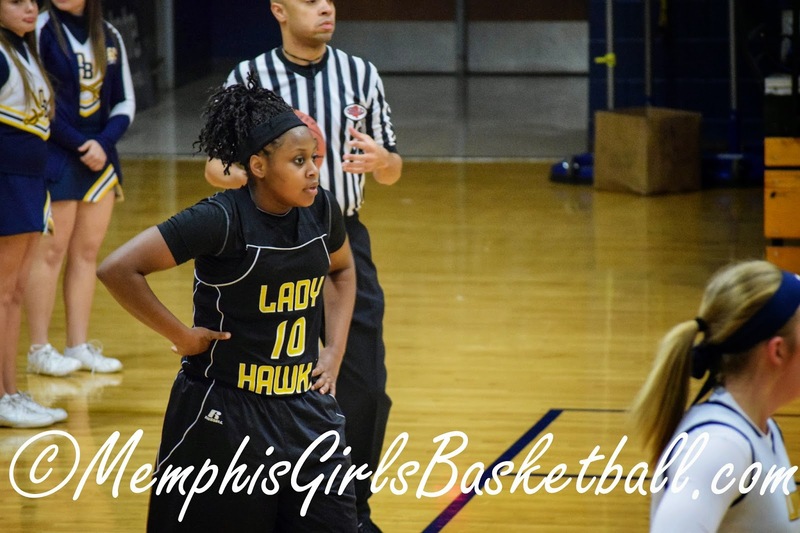 Lausanne (58) — Breanna Bullock 1, Katherine DelPriore 6, Sarah Edwards 2, Melba Martin 6, Selena Pruitt 22, Princess Stark 19, Kristen Wright 2. USJ (56) — L. Homberg 5, A. Hulme 12, A. Jones 28, R. Sears 7, M. Williams 4. St. Mary’s (61) — Margaret Cowens 2, Jean Jackson 4, Mary Caroline Newman 8, Kaylan Pugh 32, Mary Harper Robinson 9, Brett Silver 4, Meredith Wells 2. Harding (69) — Zaria Christy 2, Kelsi Elkins 14, Valecia Harris 12, Anna Horner 7, Antoinette Lewis 23, Sarah Luttrell 3, Callie Stubbs 8. FACS (48) — Shay Johnson 19, Bionka Massie 11, Carmen Moore 10, Rachel Nix 2, Katelyn Reed 3, Madison Spain 3. Northpoint (71) — Ashtyn Baker 26, Lindsay Bramlitt 6, Micaela Brown 2, Lauren Decembrino 4, Lauren Gross 5, Karlie Hughes 15, Hannah Shafer 7, Andrea Sparkman 2, Jade Wells 4. Records — FACS 10-12, Northpoint 22-5. ECS (50) — Emily Lytle 14, Molly Martin 12, Celia Owens 12, Jordan Shackleford 10, Lee Ellen Stanley 2. St. George’s (35) — Molly Courtney 12, Madeline East 9, Grace Hunt 7, Olivia Roberts 7. 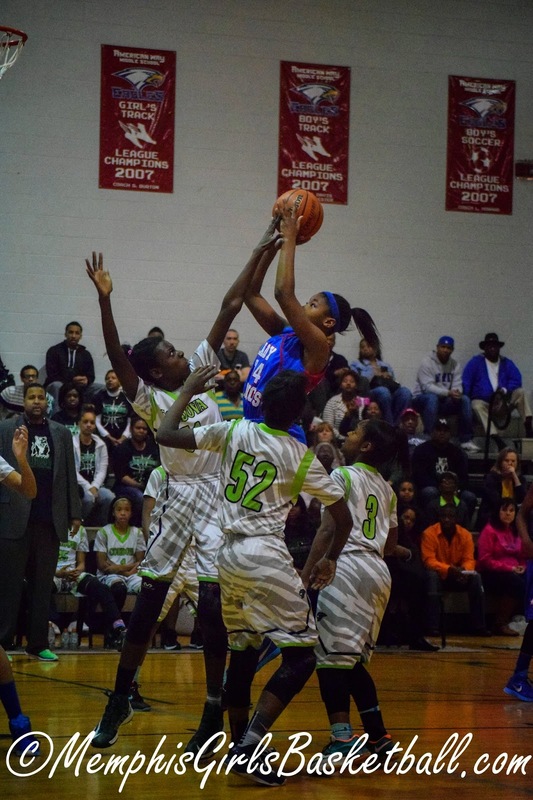 Charity Savage, Bartlett: Savage, a 6-0 senior, has been one of the top players in the area all season long and this past week was no exception. 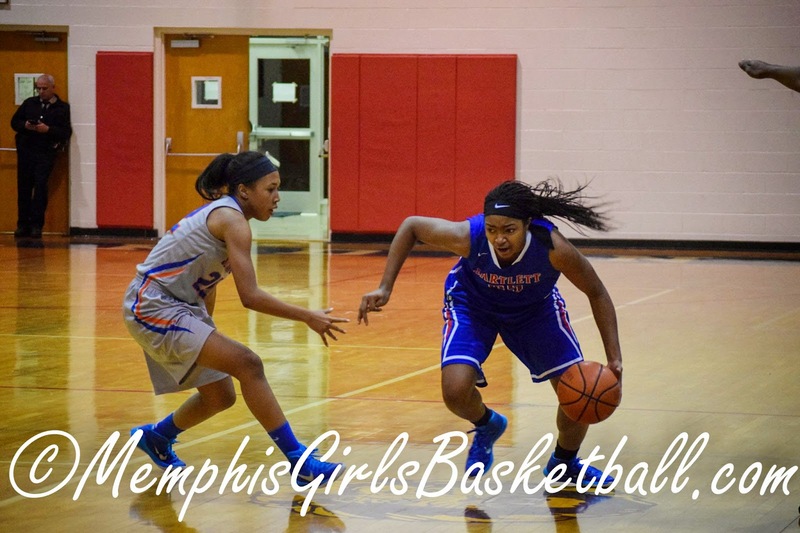 On Friday, she had 35 points and 17 boards against Cordova and followed that up with 22 points against Millington Tuesday. In the last nine games, Savage has eight double-doubles and a triple-double. Are You Listening to the Right Person?